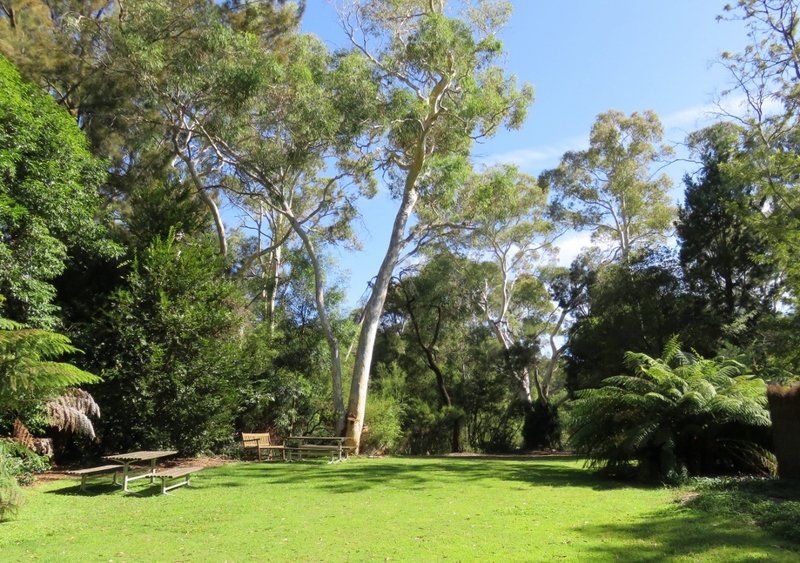 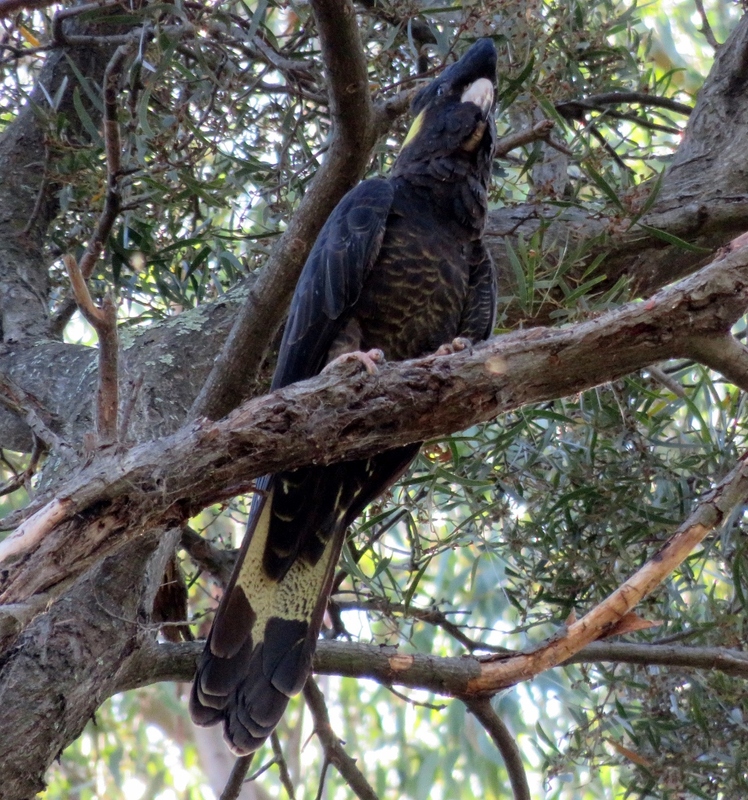 From a rainforest gully …to some Yellow-tailed Black Cockatoos..
I’ve come back to the National Botanic gardens of Canberra on a beautiful summer morning, and all the more sparkling because we’ve had some steady rain last night for the first time in a month. 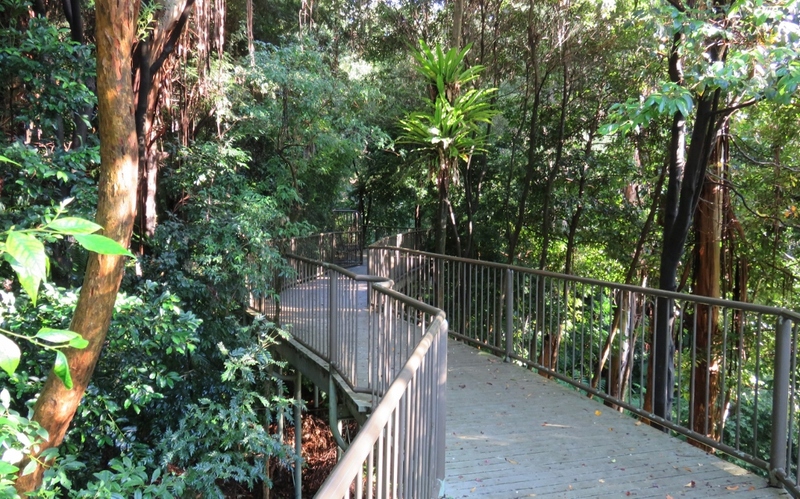 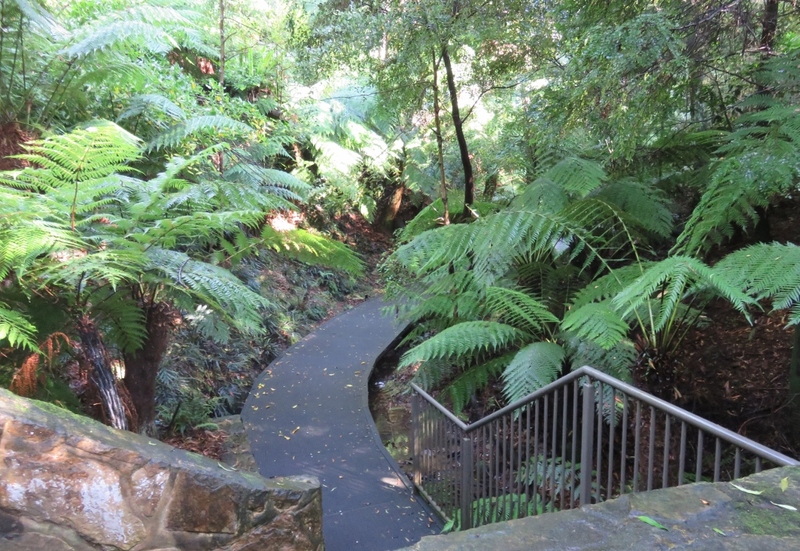 The Rainforest fern gully was created in 1960 from a naturally occurring dry gully with a few eucalypts, shrubs and grasses….and as I step into the cool shaded area today it is hard to believe it was ever dry..
…as I follow this path I’m effectively walking the entire east coast rainforest of Australia in ten minutes! 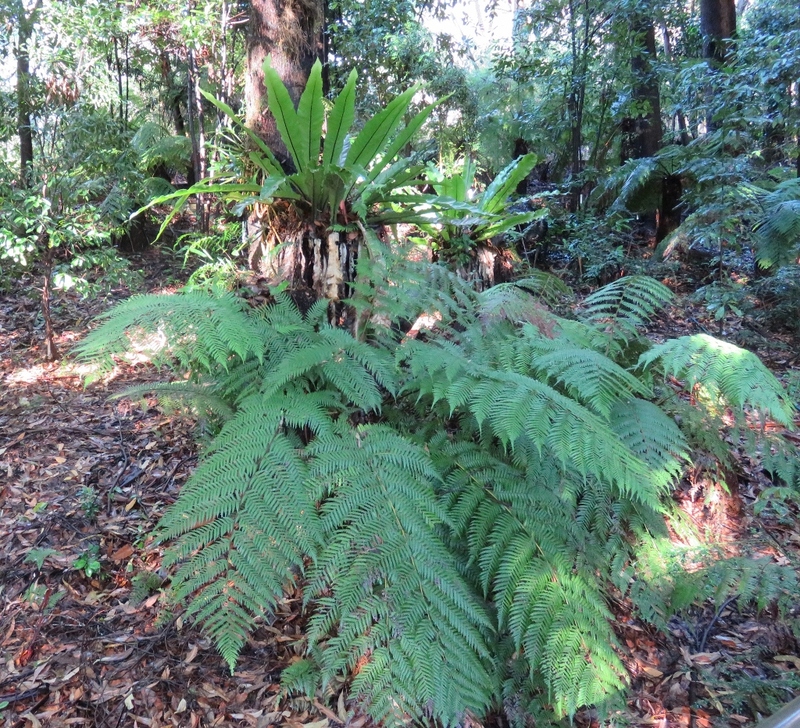 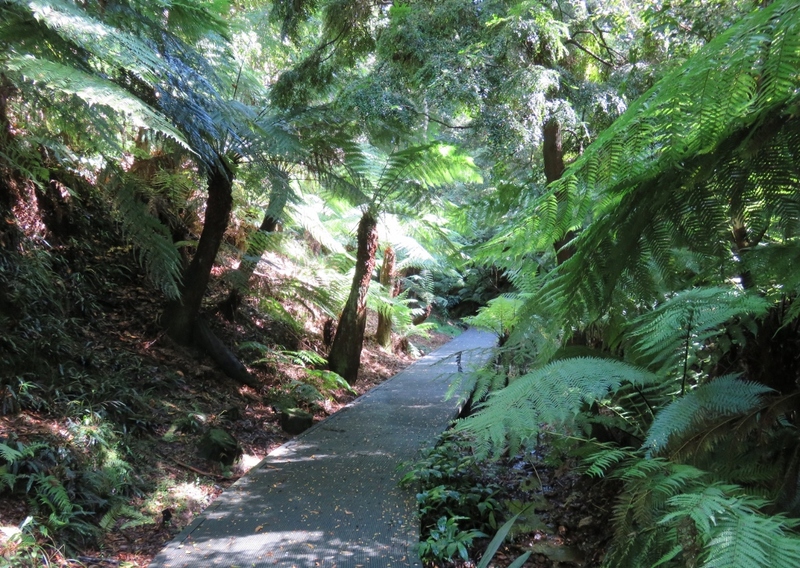 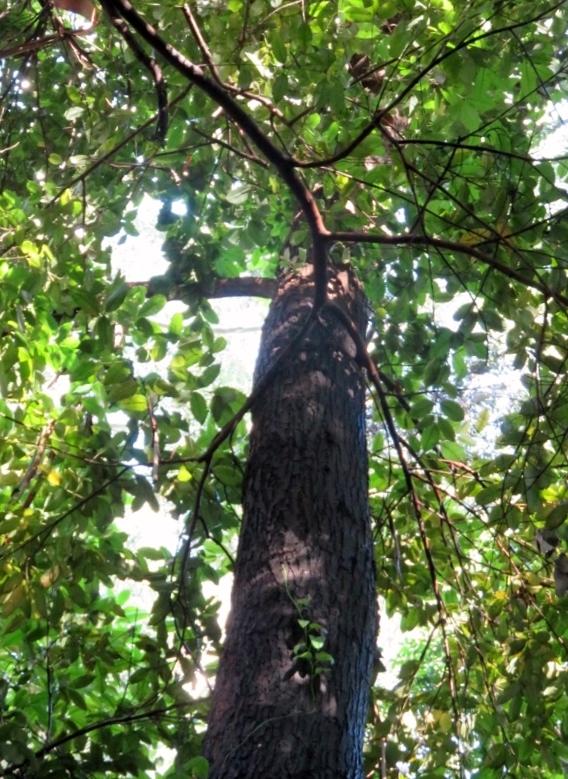 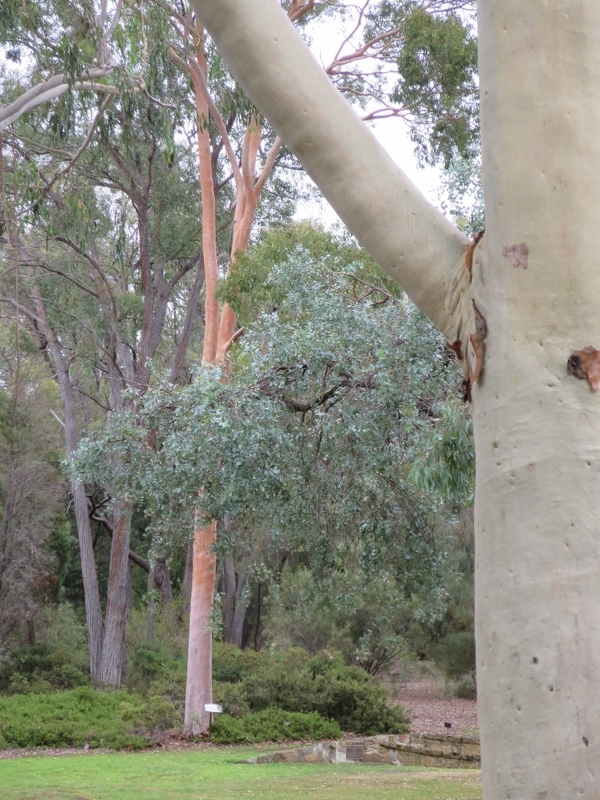 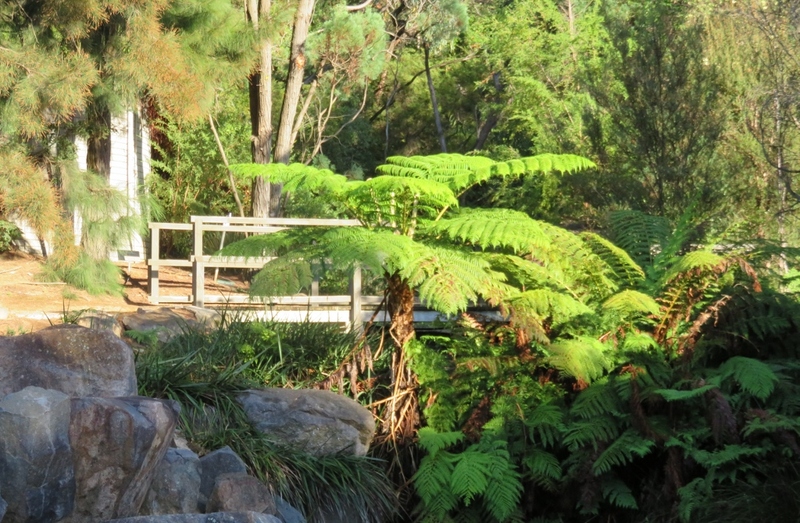 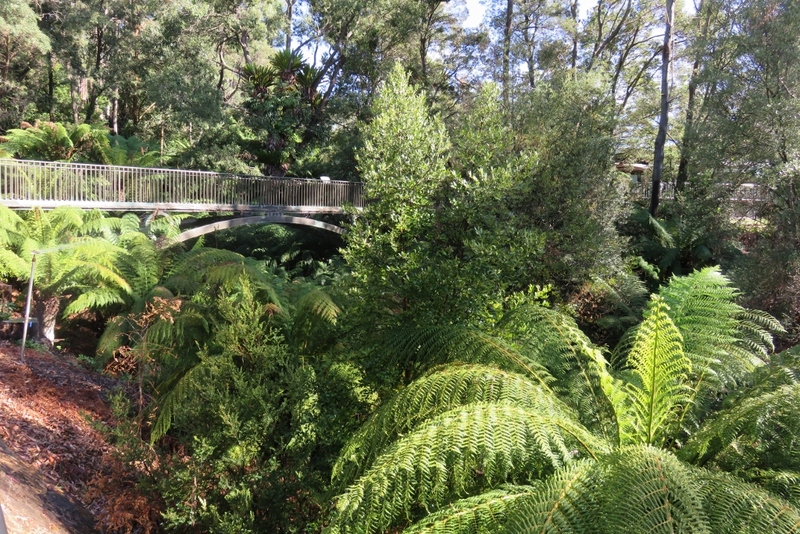 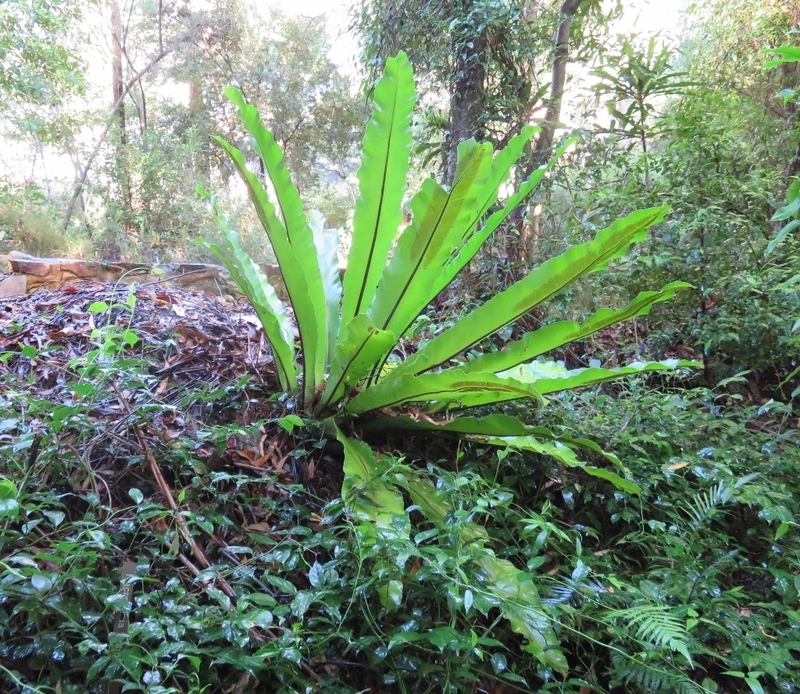 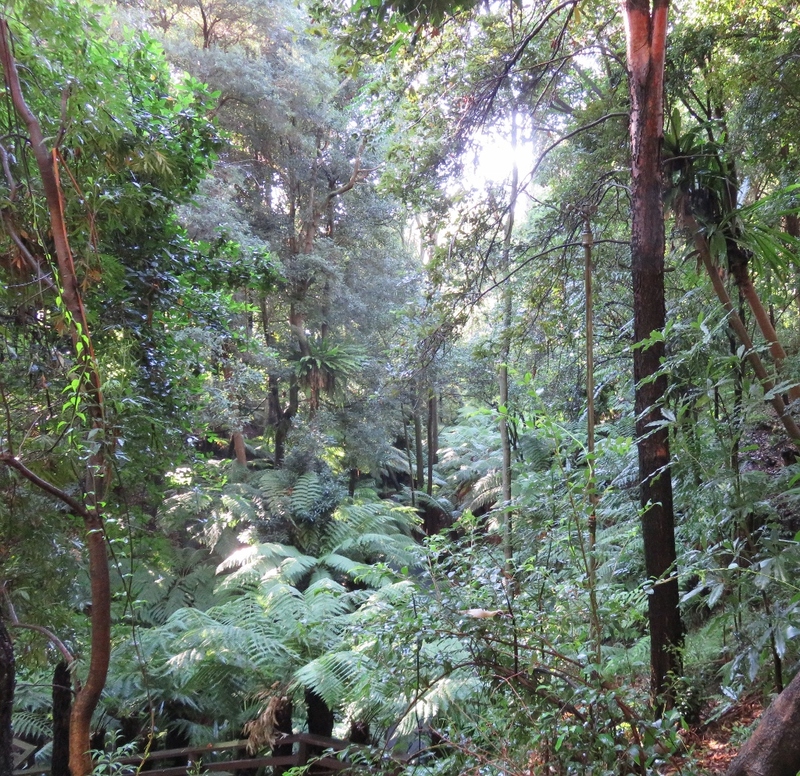 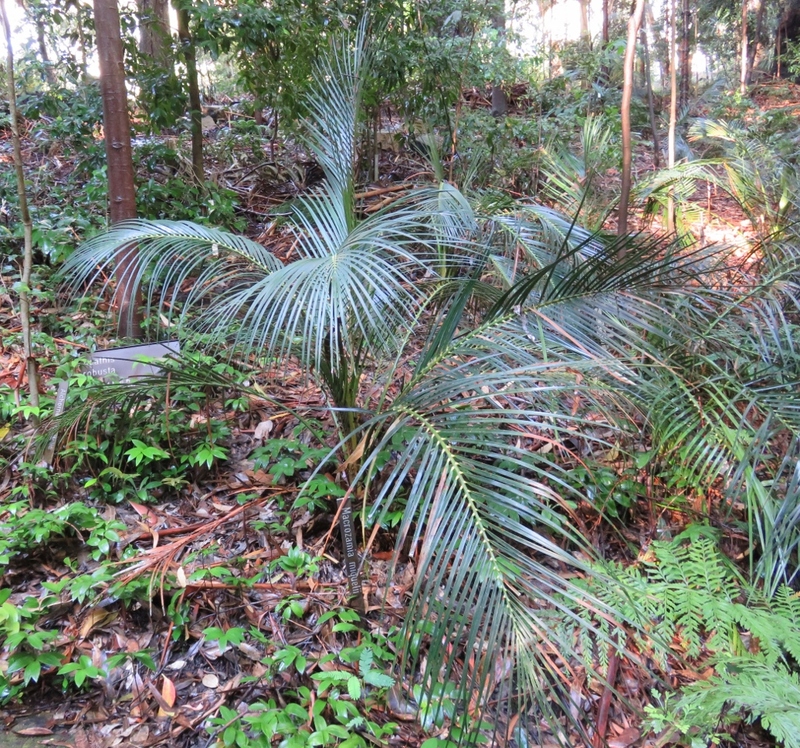 the understory has small trees, fallen branches and ferns..
Now a canopy of tall plants, like an enormous umbrella protects the ferns below from the direct sun, heavy rain, drying winds and frost…all of which can happen in Canberra. 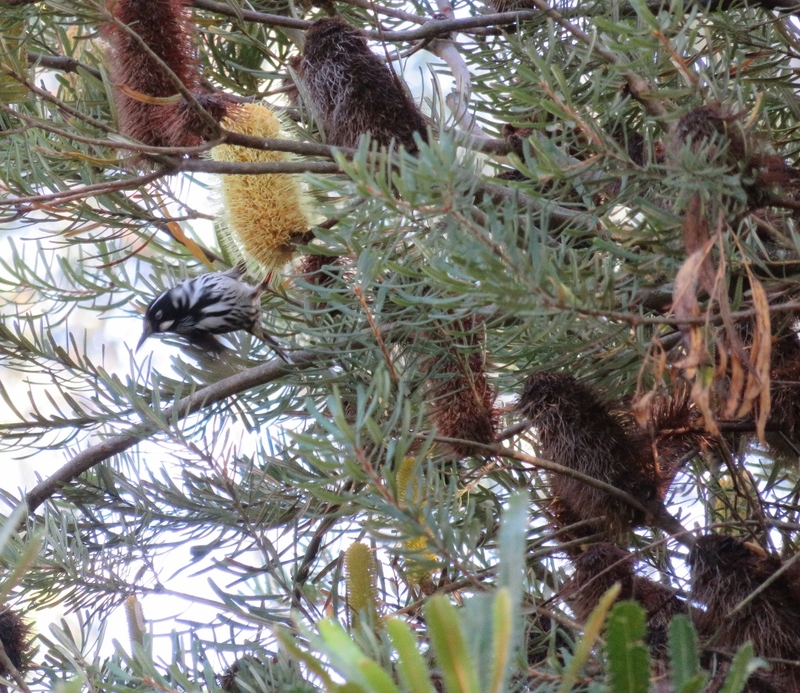 Here is a New Holland Honeyeater having breakfast at the Banksia café..
As good luck would have it, just as I headed for the car park, some noisy Yellow-tailed Black Cockatoos arrived..
Unperterbed by cars and people nearby, one of them began burrowing into the tree, possibly looking for grubs to eat.. 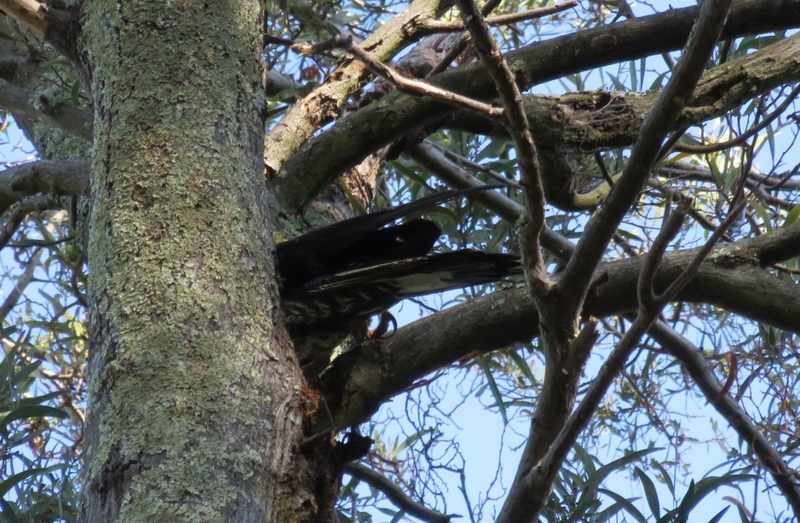 In no time at all he has almost disappeared into that hole…. 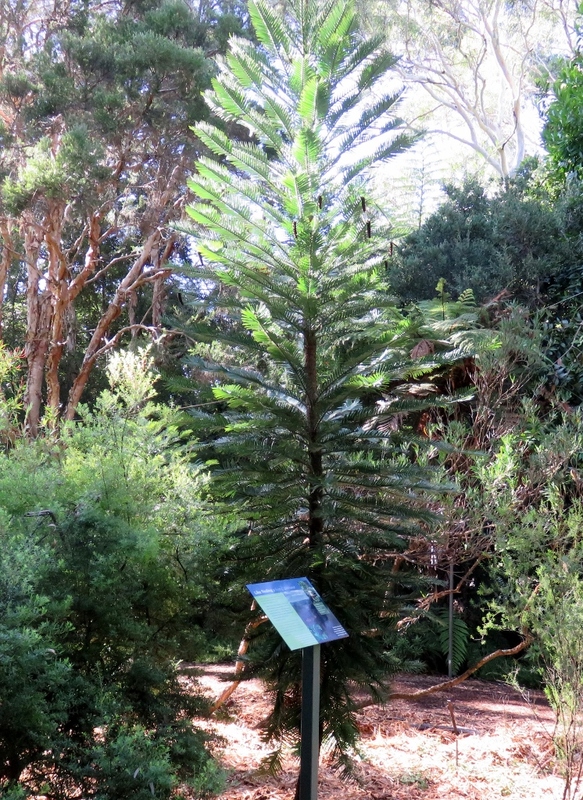 This entry was posted in Canberra's Public Gardens and tagged Banksias, Canberra, Eucalypts, fern gully National Botanic Gardens Canberra eucalypts NSW rainforests Tasmanian rainforests New Holland Honeyeater Yellow-tailed Black Cockatoos birds trees grevilleas banksias, ferns, Grevillea, gully, National Botanic Gardens, New Holland Honeyeater, NSW rainforests, Tasmanian rainforests, trees, Yellow-tailed Black Cockatoos on March 6, 2016 by germac4. 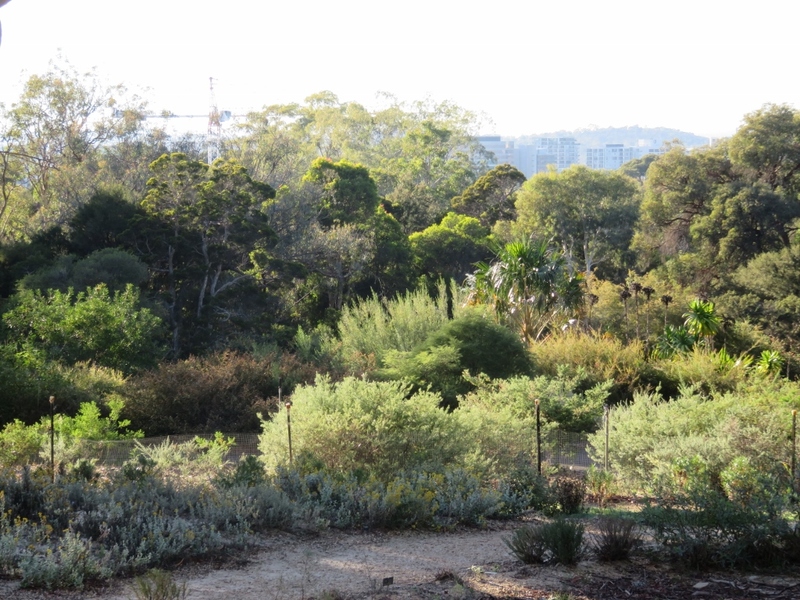 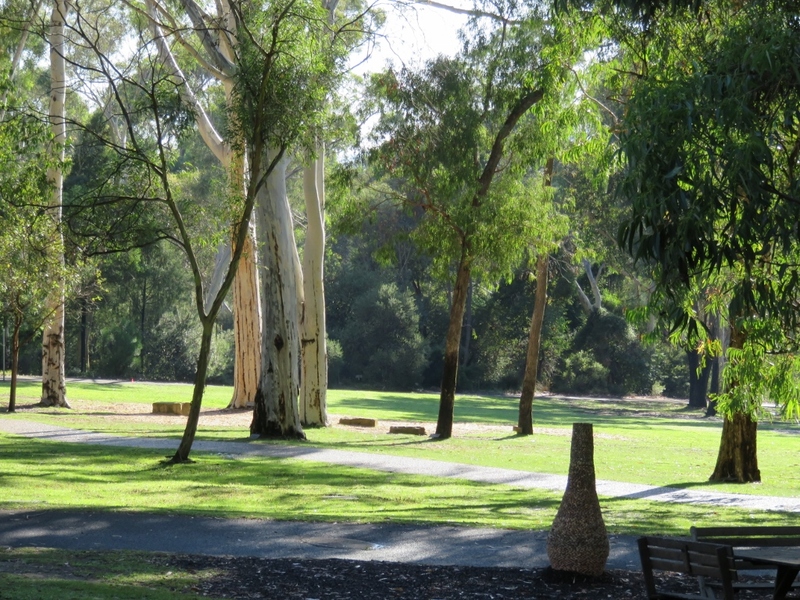 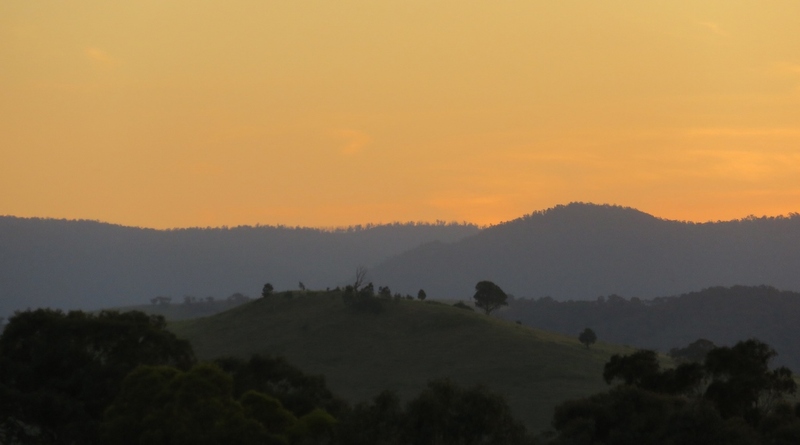 A desert in the heart of Canberra.. 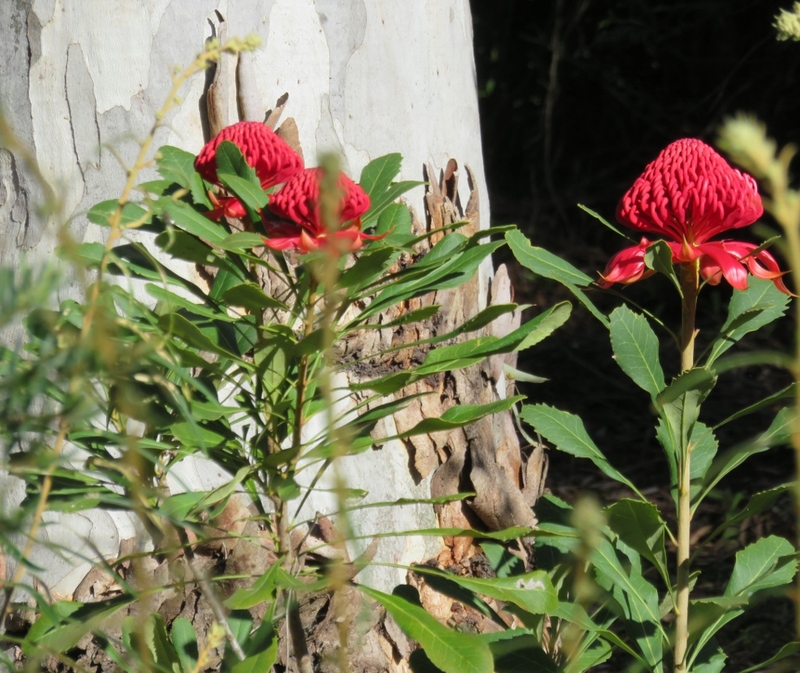 The city of Canberra is by no means a desert, however, at the National Botanic gardens, the stunning Sturt Desert Pea is flowering..
I’m visiting the National Botanic gardens on a very hot day in February, to look at the amazing Red Centre garden, and then stroll down to the Fern Gully…to cool off.. 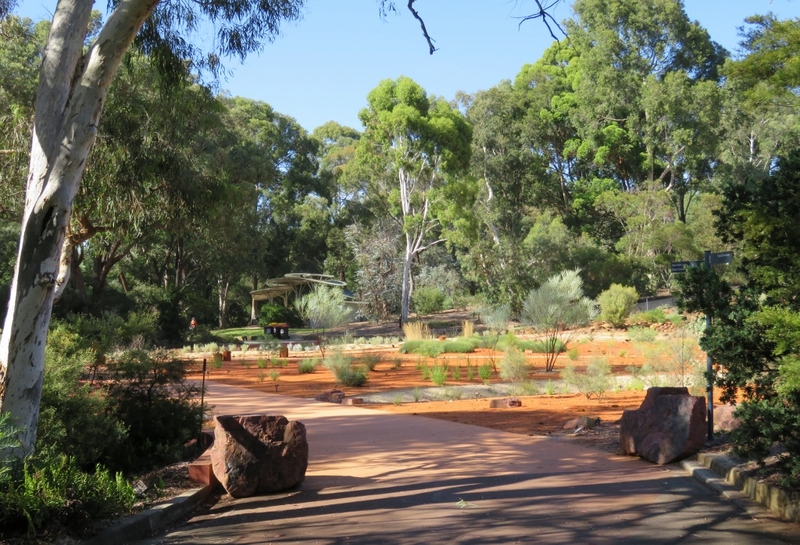 The Red Centre garden is designed to showcase the dramatic landscapes, sand dunes and rocky escarpments of central Australia, known as The Red Centre. 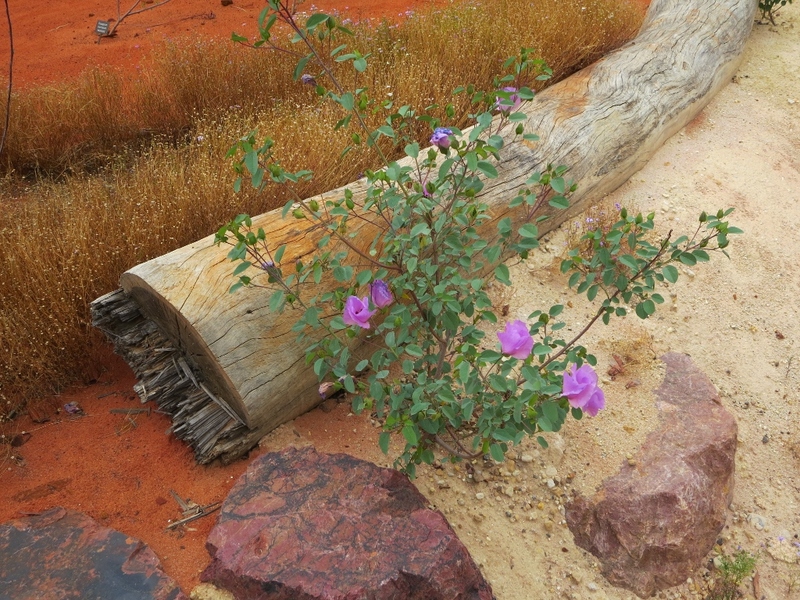 The soil in the Red Centre is rich with iron oxide which gives it this distinctive colour. 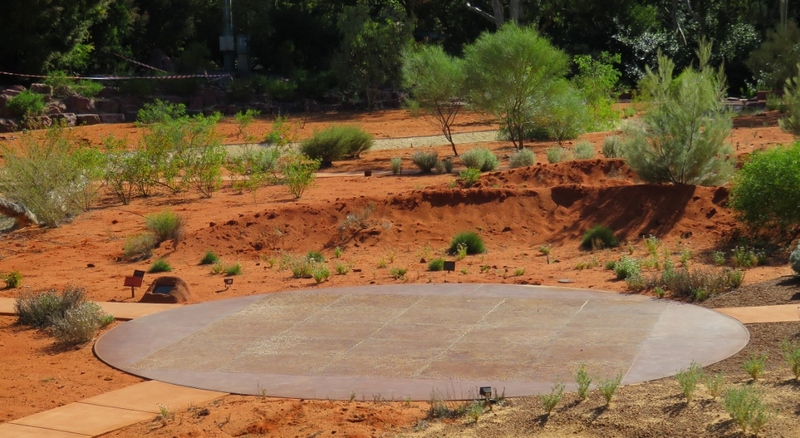 Central Meeting Place features Indigenous artist Teresa Pula McKeeman’s artwork and evokes Northern Territory women’s ceremonial dancing. 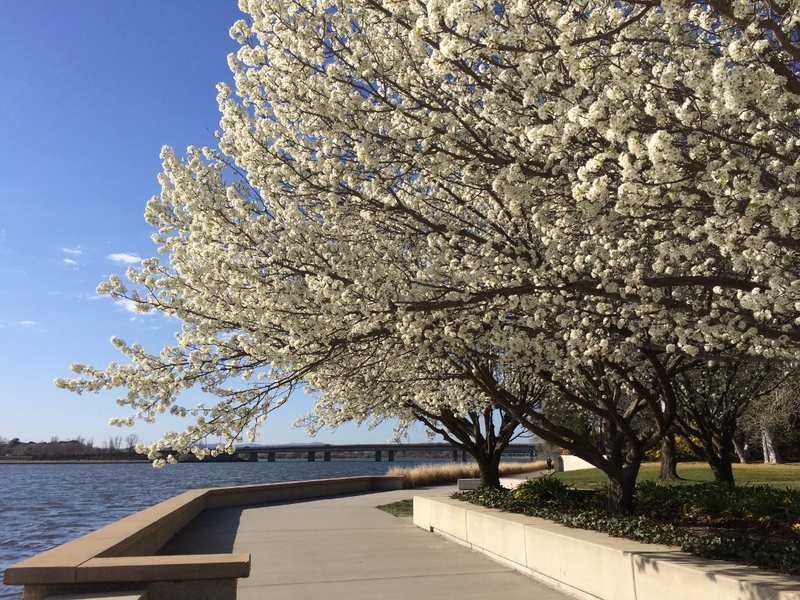 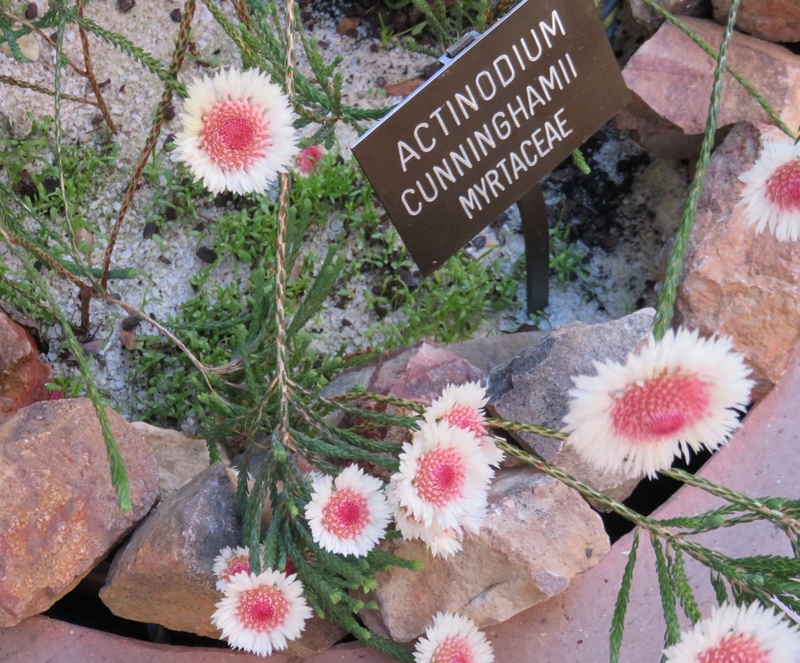 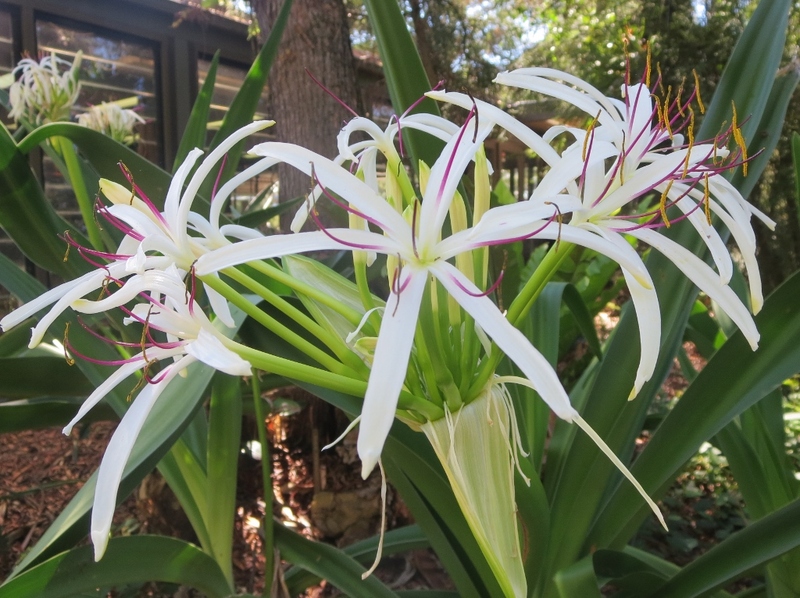 Canberra often has frosty, temperamental weather, so to design and plant a desert garden is, ”a well considered experiment” according to David Taylor, curator of the Botanic Gardens Living Collections. 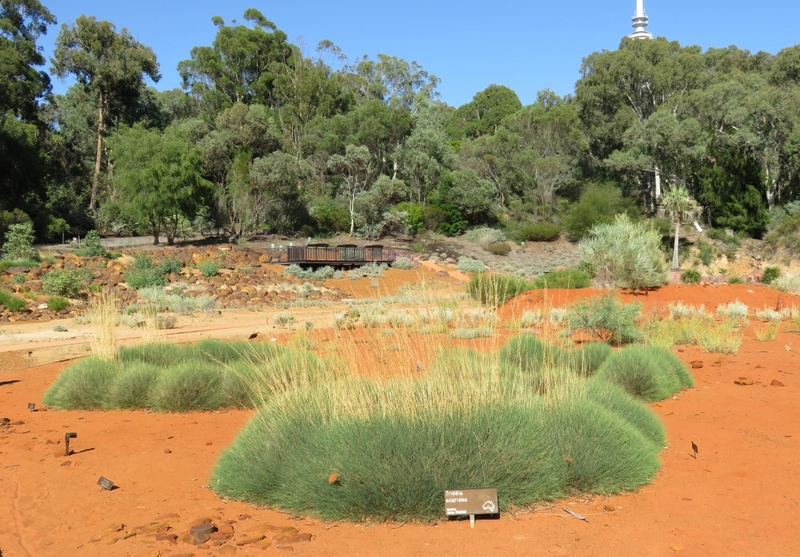 Desert plants can be seen here that belong in the desert….many thousand kilometres away from Canberra in Central Australia. 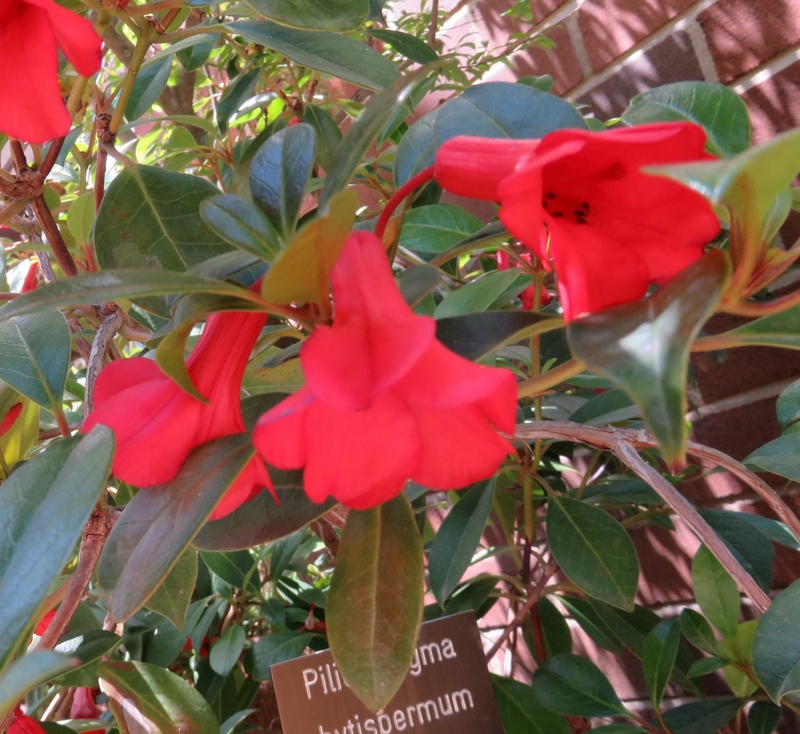 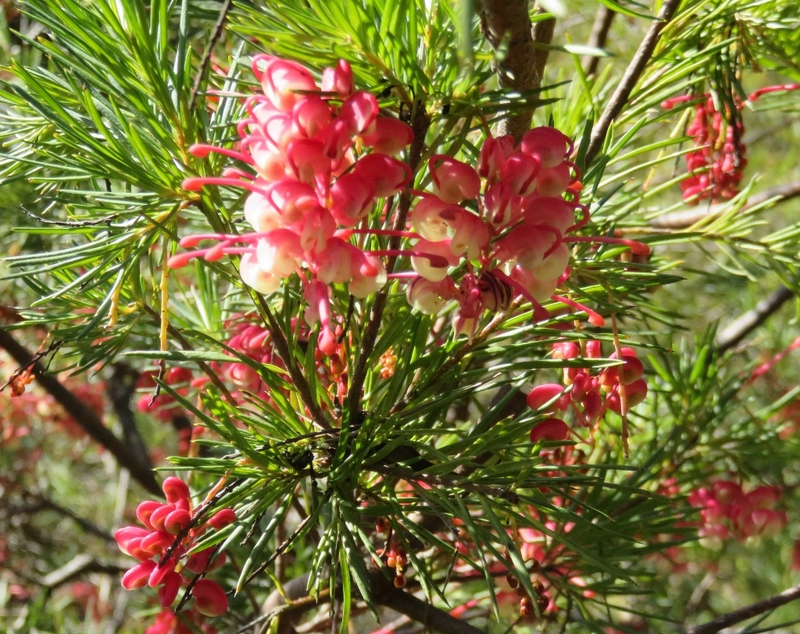 An area of research in the Gardens is using micrografting techniques to help plants survive in a different climate….. for example the Sturt Desert Pea uses New Zealand’s Clianthus Puniceus as stock….as a result it can survive the Canberra winter. 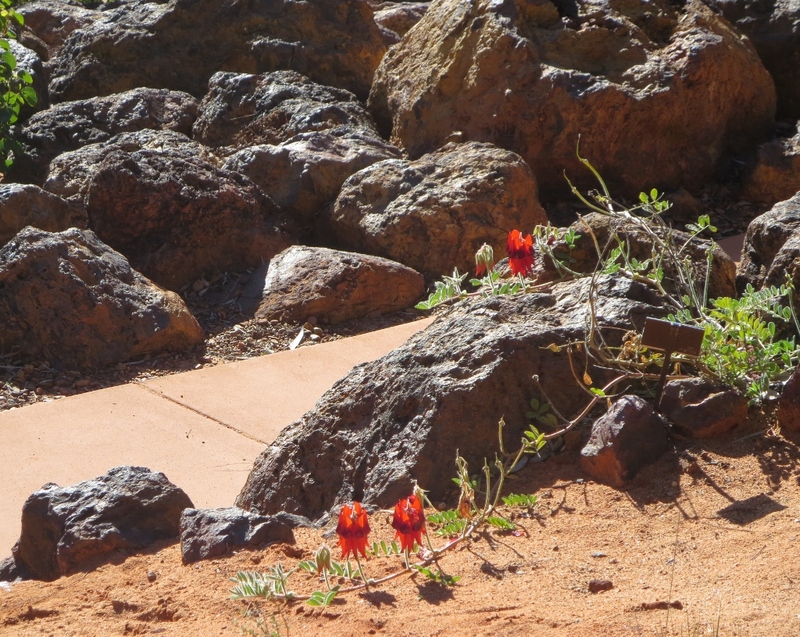 On this hot day I am very drawn to this beautiful desert pea, what a symbol of life and hope for desert people and travellers. 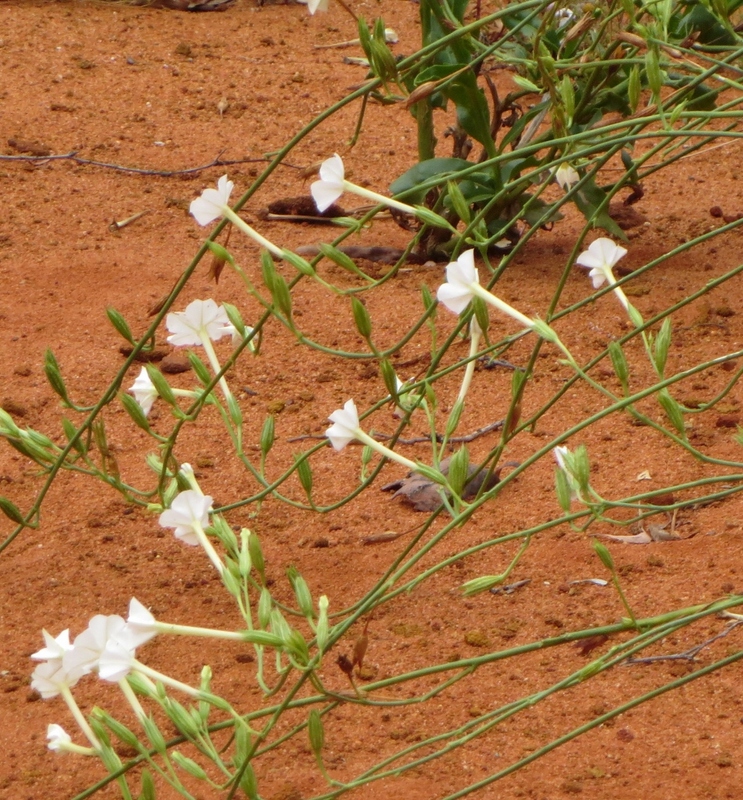 However, this lizard, found in the desert, is perfectly designed to survive the harsh conditions. 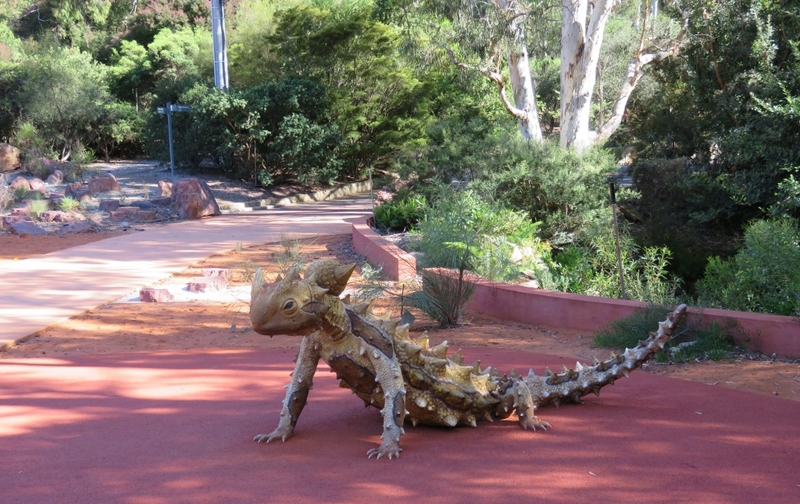 A system of tiny grooves between its scales channels water from all over its body to the mouth of the lizard. 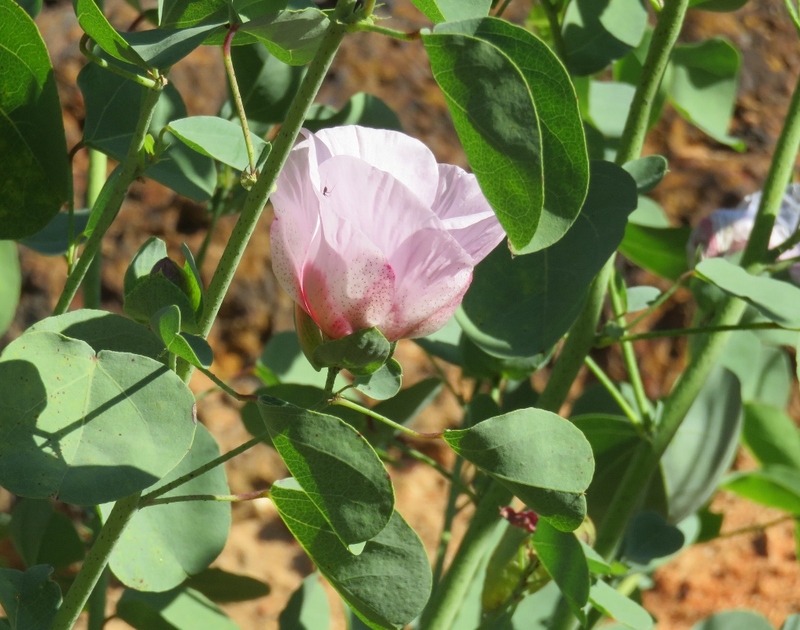 It can drink by just standing in the rain or from dew that settles on its body overnight. 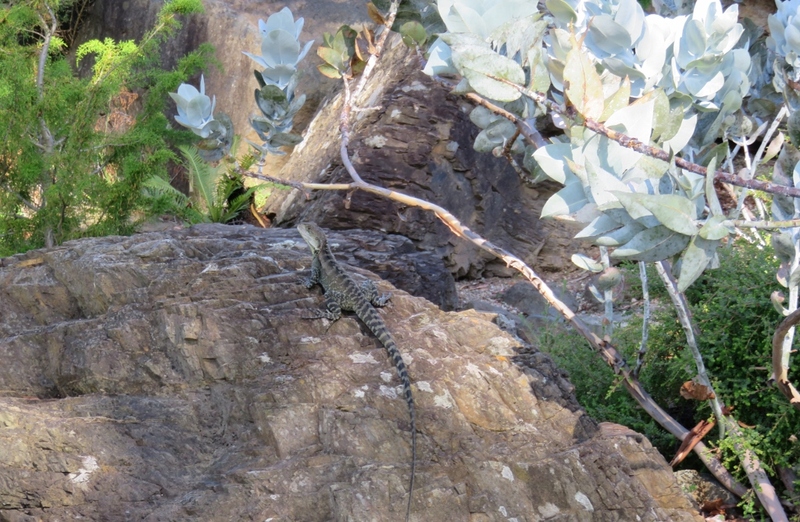 Here is a much more low-key real life water dragon, very well camouflaged on the rock. 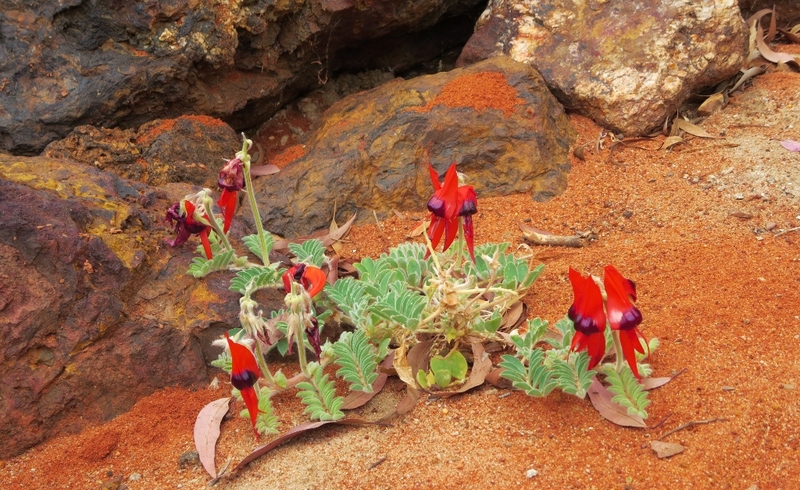 This entry was posted in Canberra's Public Gardens and tagged Canberra, desert, desert dragons, drinking, fern gully, flowers, micrographting, National Botanic Gardens, red soil, rocks, Sturt Desert Pea, the Red Centre, water, water dragon on February 27, 2016 by germac4. 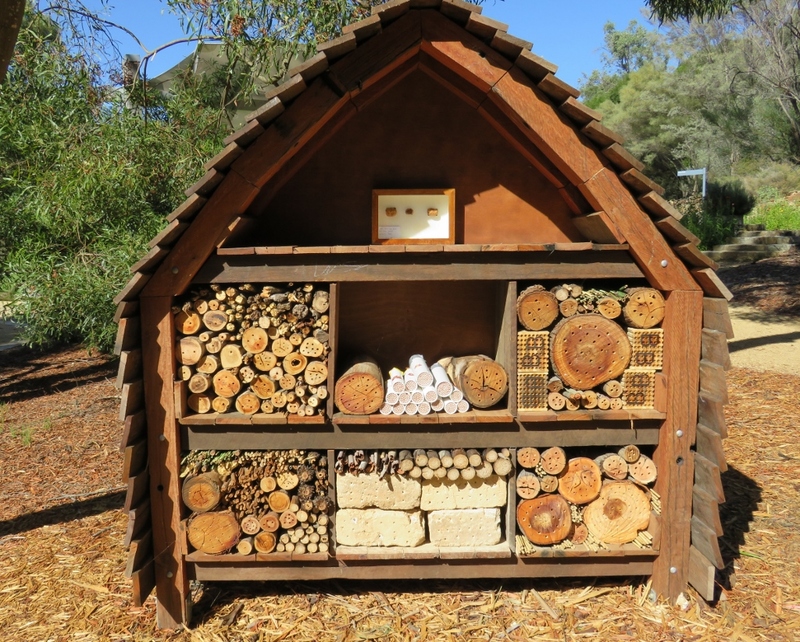 Canberra has quite a few hotels, but this is special…..a timber bee hotel at the National Botanic Gardens, especially made to attract many of the native bees in the area. 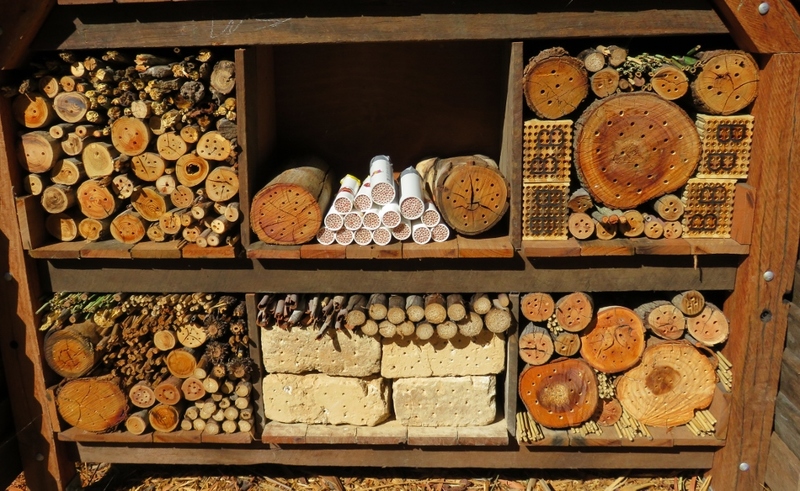 To attract a variety of bees the hotel features many different room decors, including hardwood logs and mud bricks drilled with holes, plant stems, fern fronds, and hotel ”rooms” made from cardboard tubes which are packed tight with paper drinking straws, the perfect size for a native bee nest. 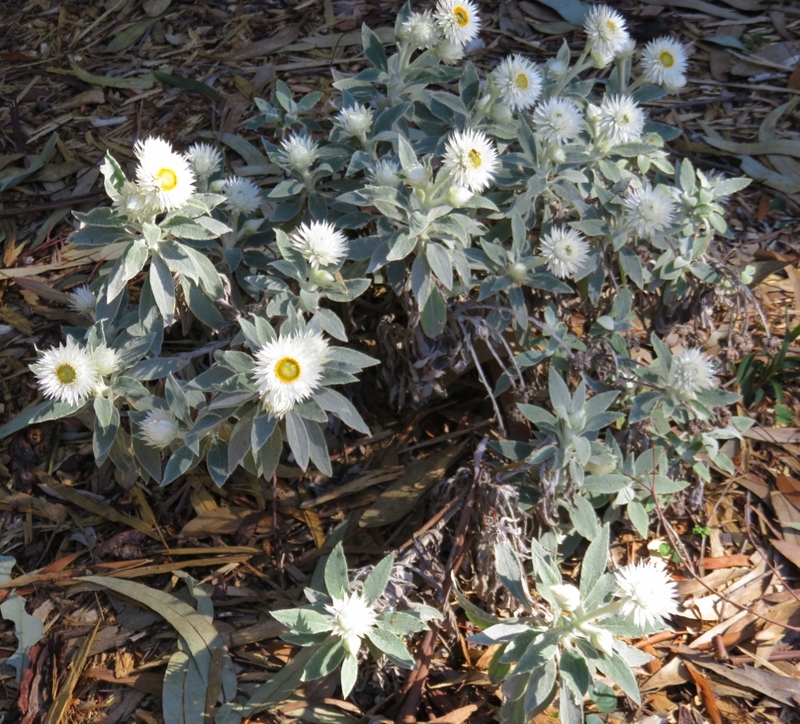 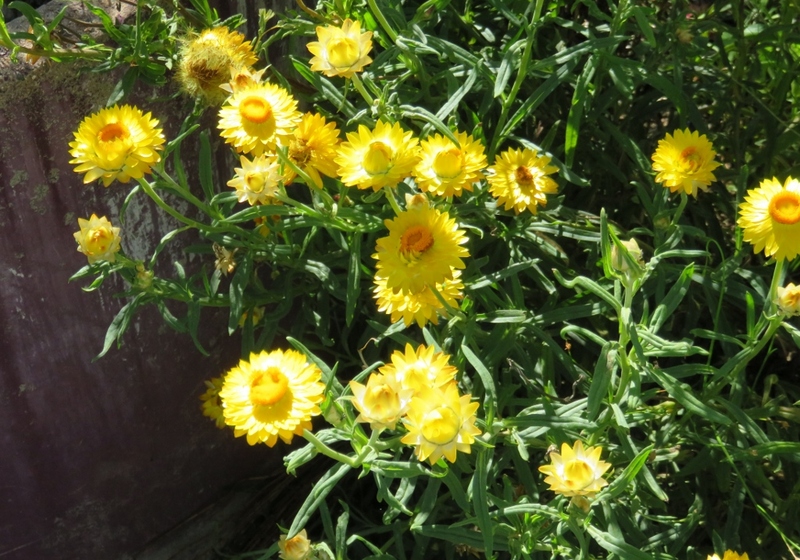 The hotel is in a shady spot at the Botanic Gardens, and surrounded by flowers, mostly of the daisy species. 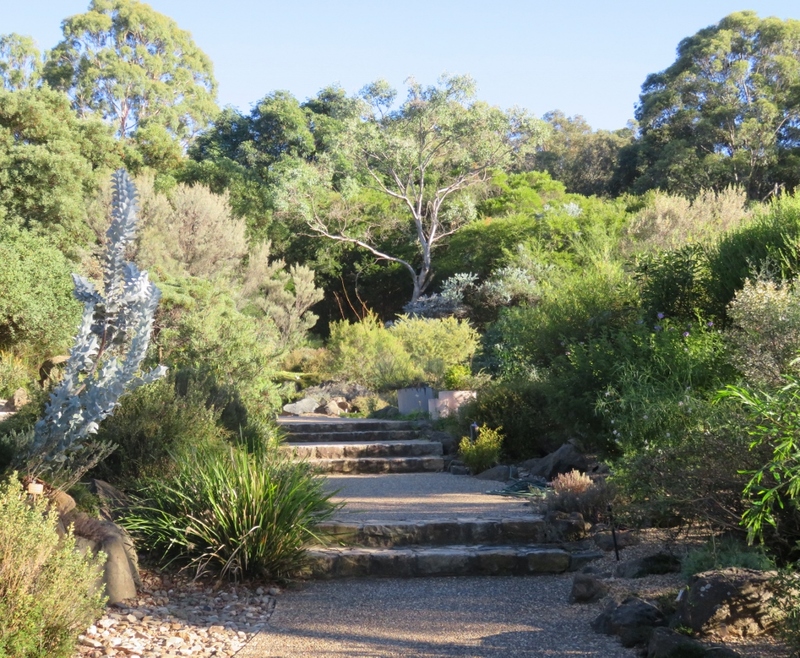 I arrived early in the morning to see the new bee hotel, but I’m also here to join a group who do a garden stroll through the Botanic Gardens every week. 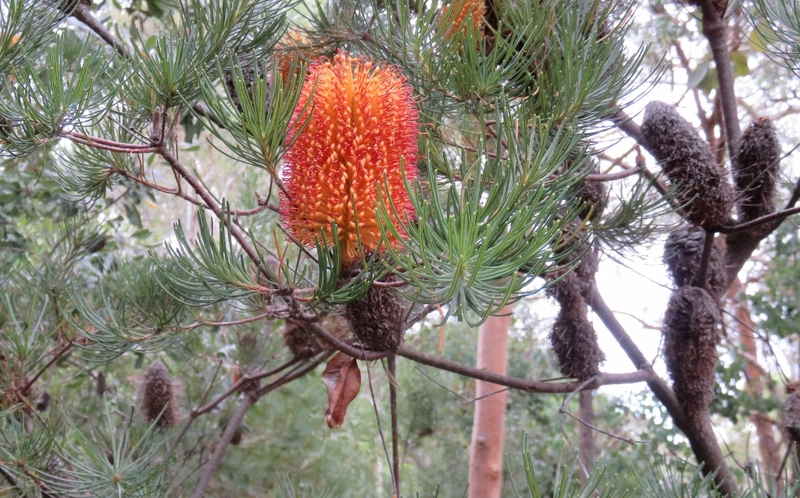 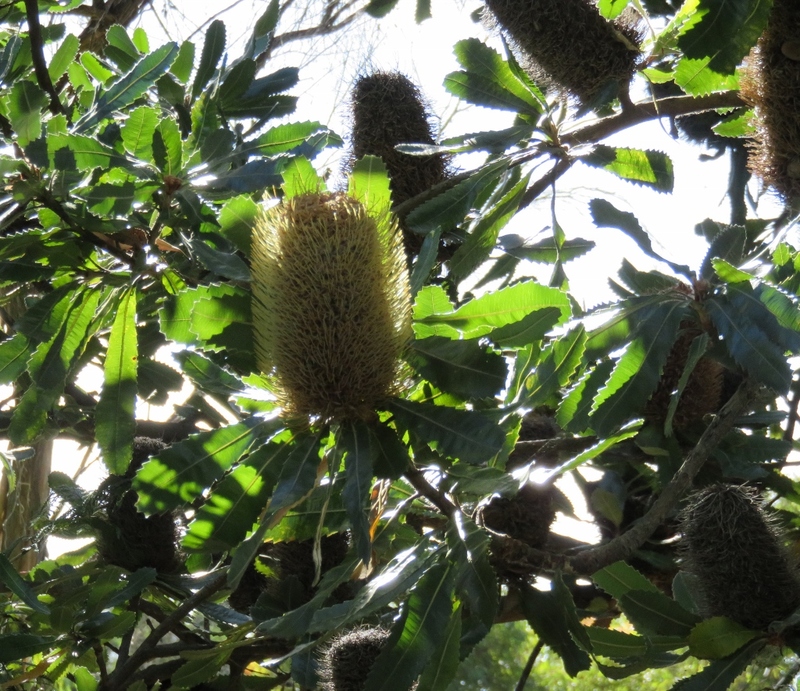 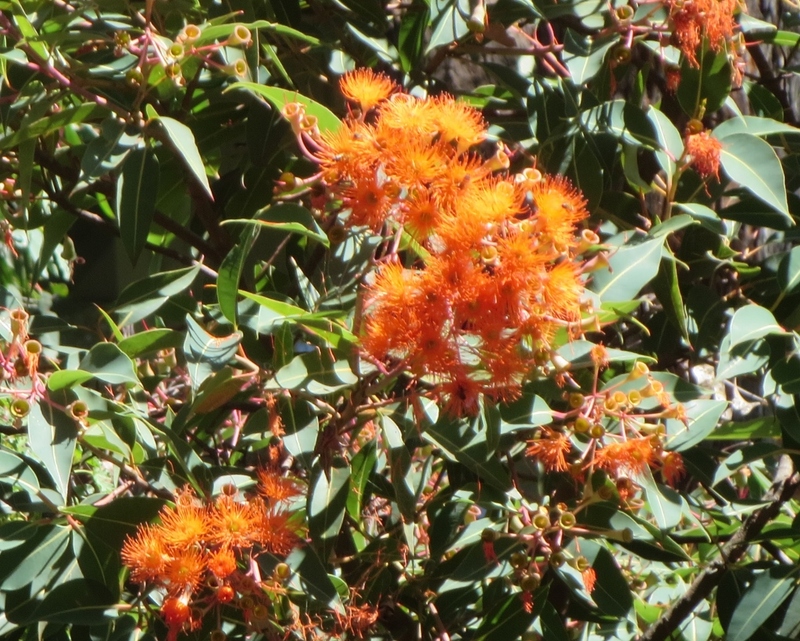 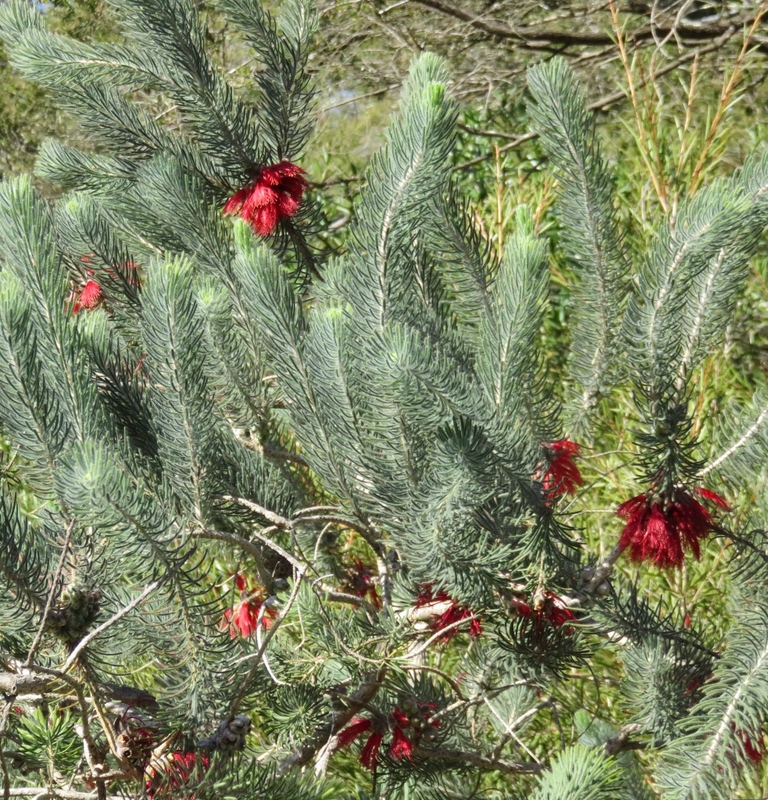 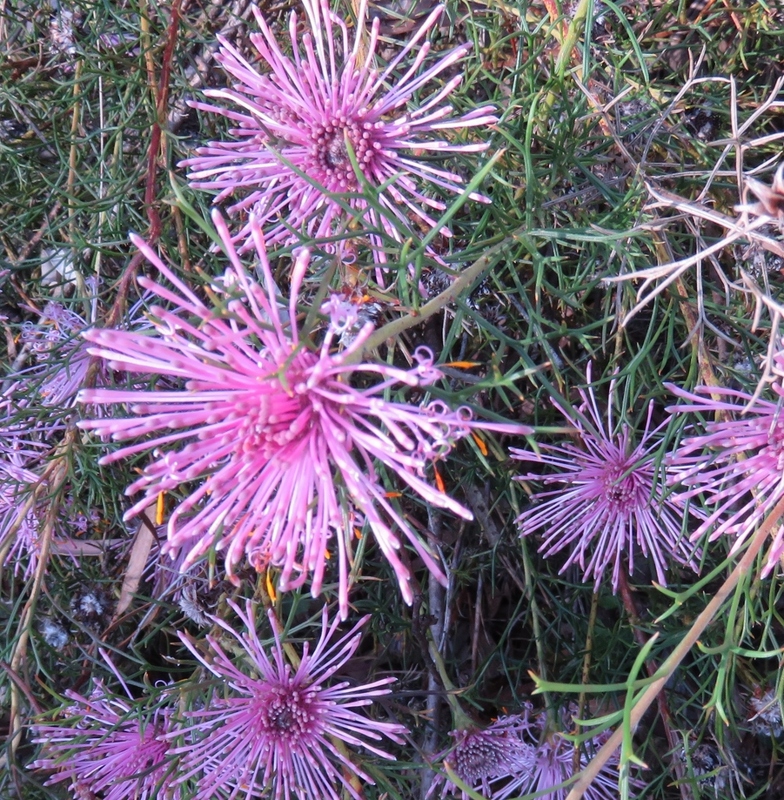 One of the first things we do is look at what is in flower….how about this Banksia Victoriae Proteaceae? 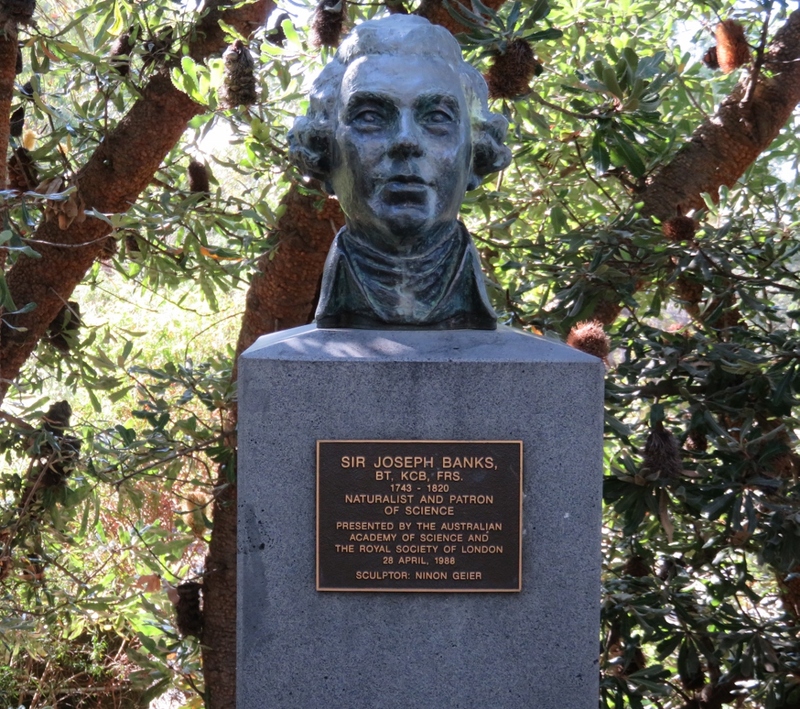 Near the entrance to the gardens is a bust of Joseph Banks, a British naturalist and botanist, who took part in Captain Cook’s voyage to Australia and New Zealand. 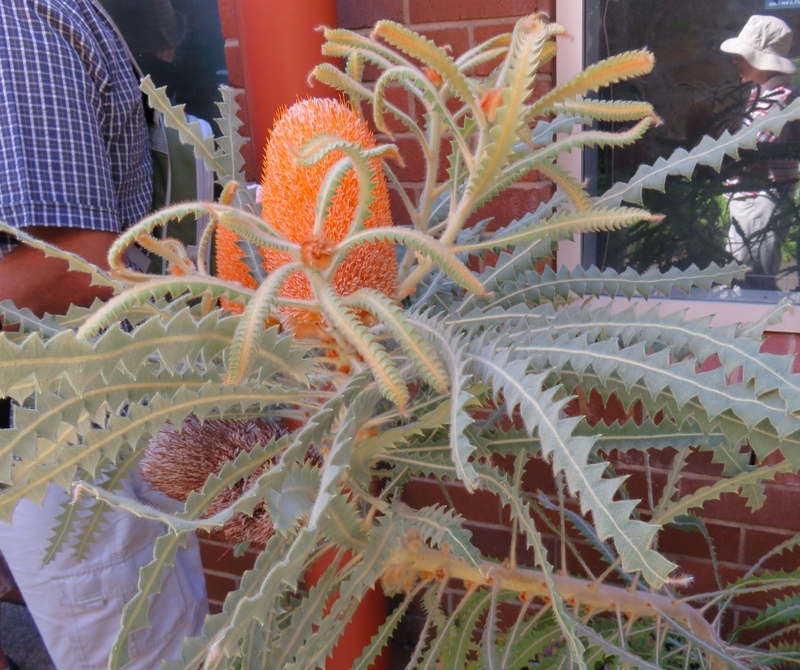 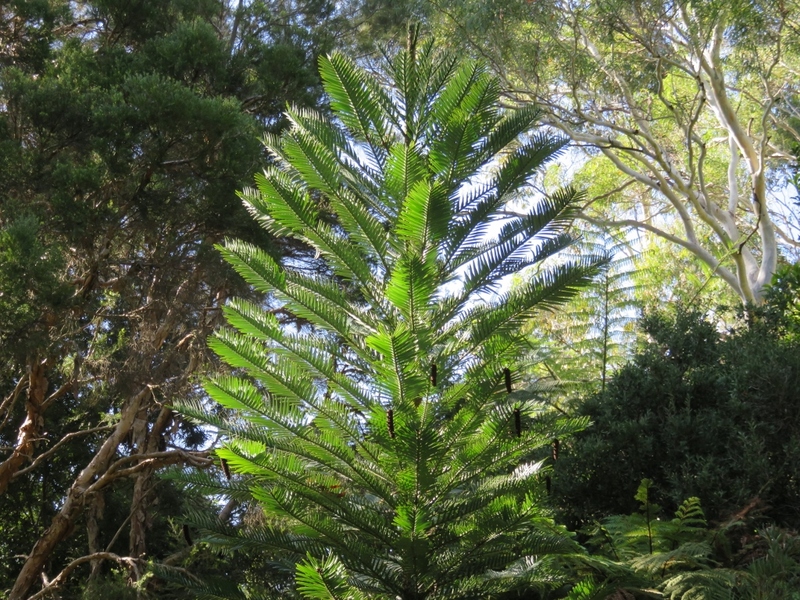 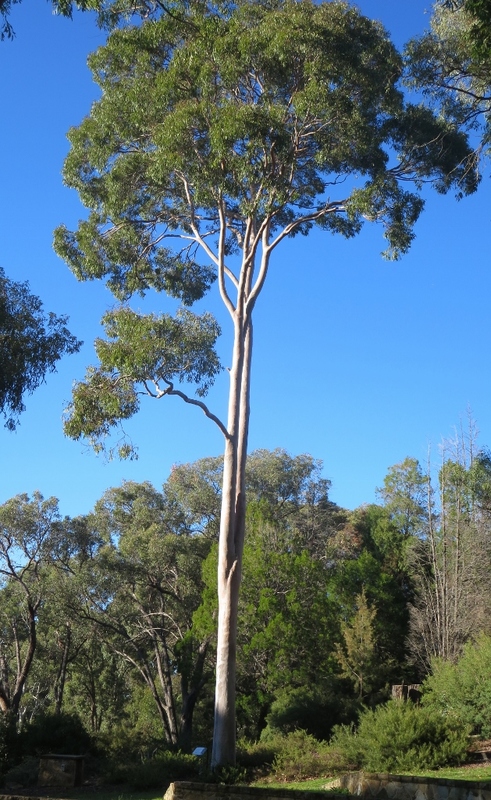 He was fascinated with Australian plants, and the plant genus Banksia is named after him. 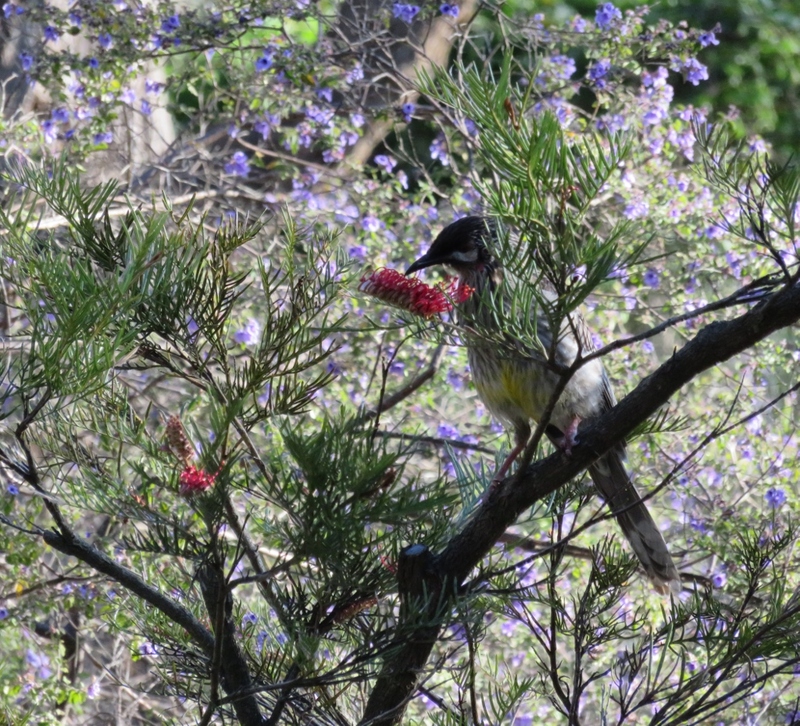 The bust of Joesph Banks is surrounded by Banksias, and therefore we are also surrounded by birds. 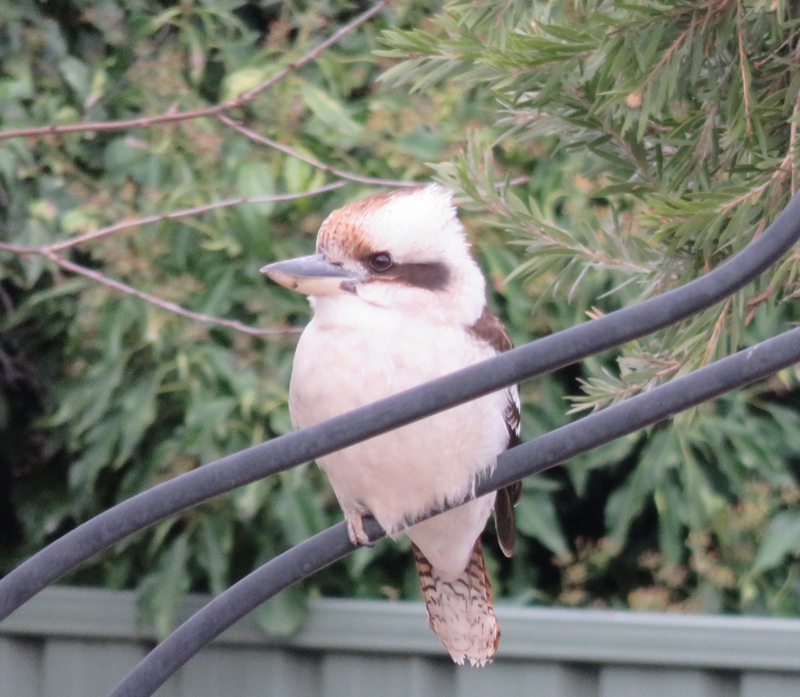 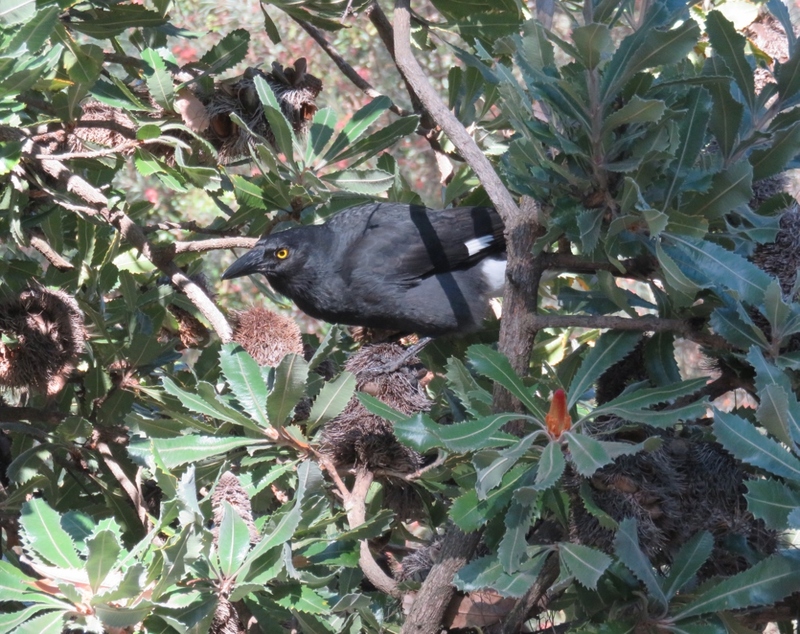 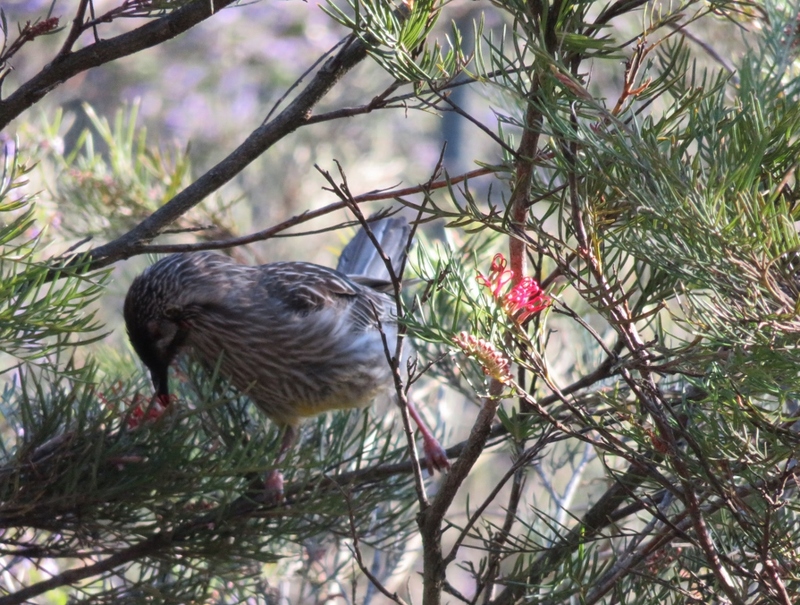 A Wattlebird is feeding on the Banksia flowers, in branches just above us…..the food must be tasty! 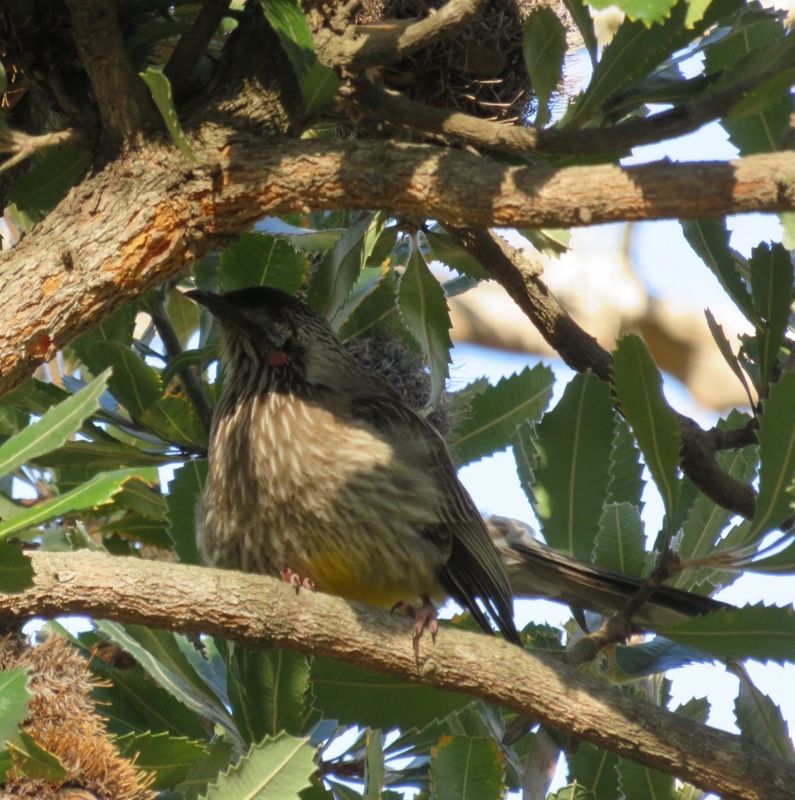 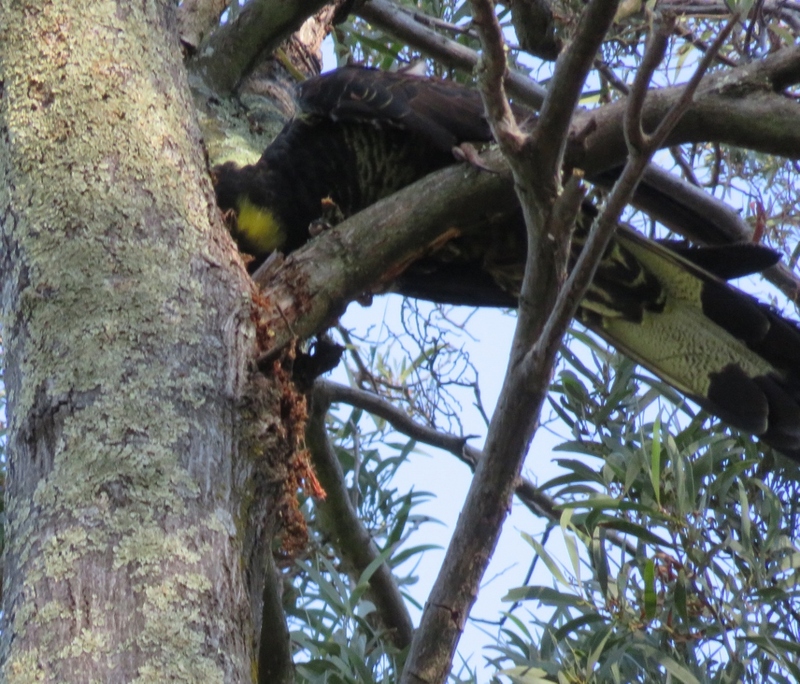 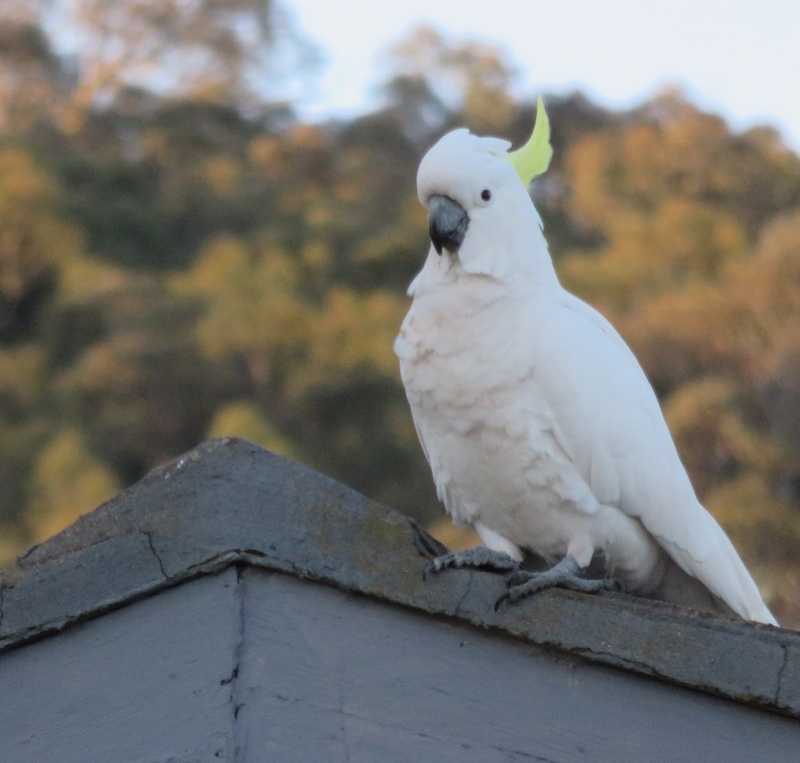 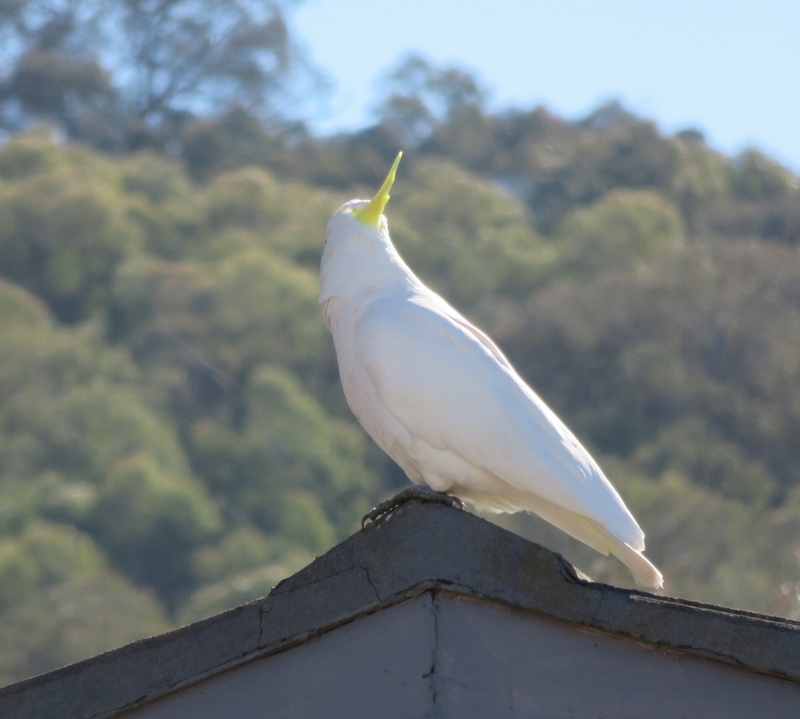 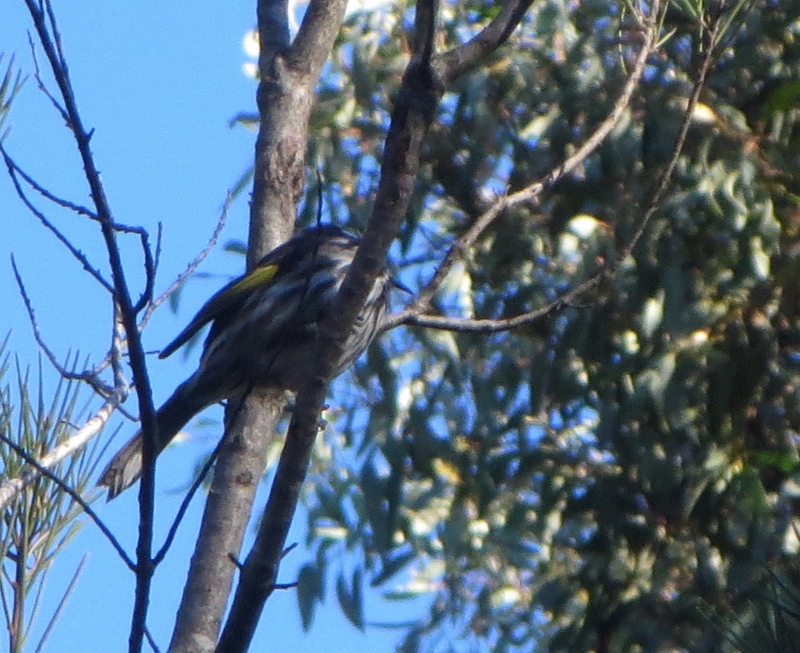 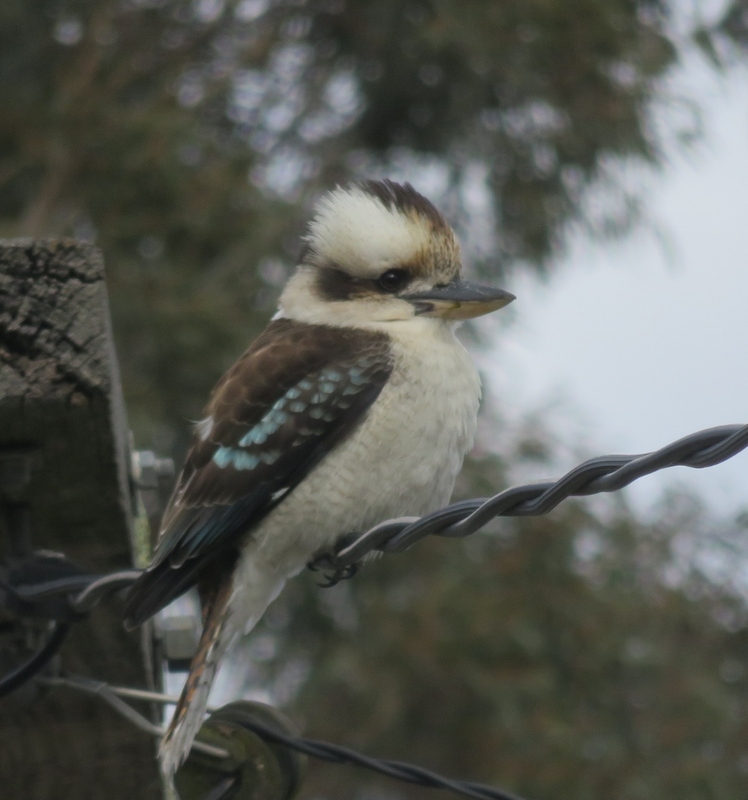 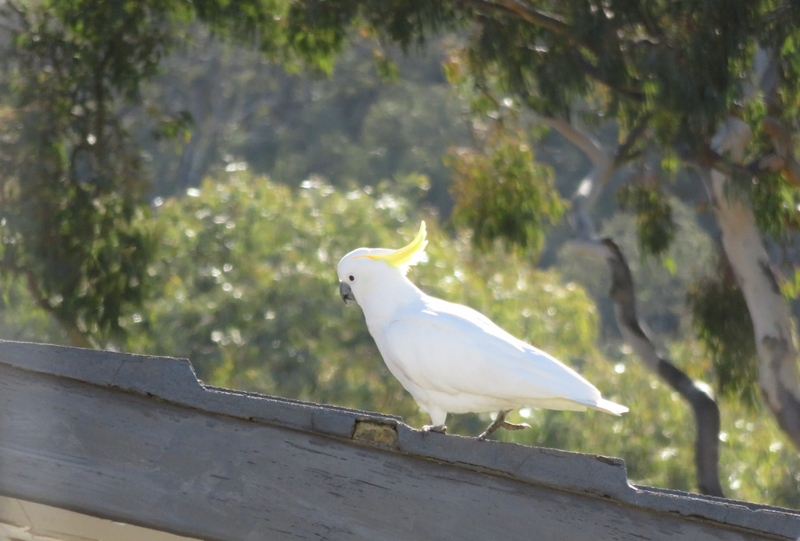 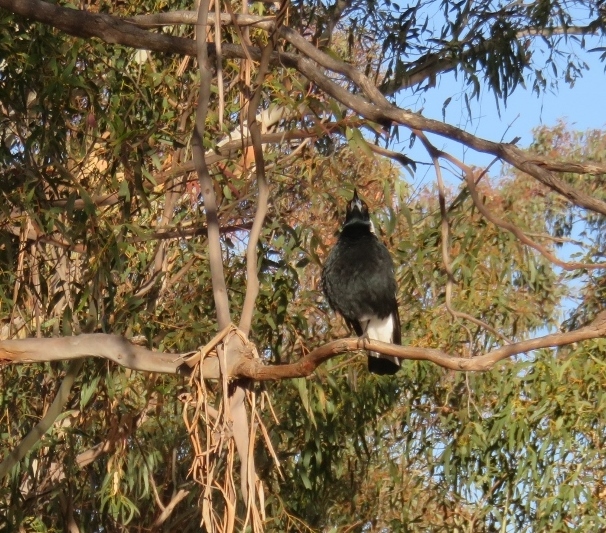 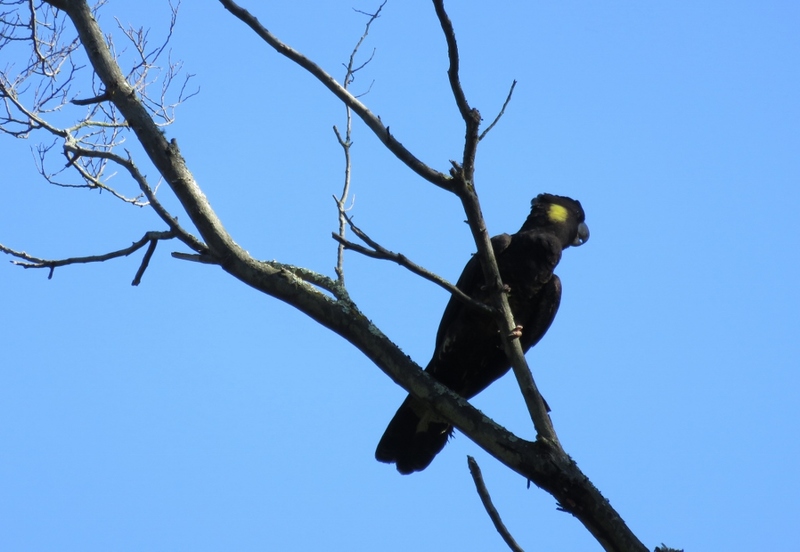 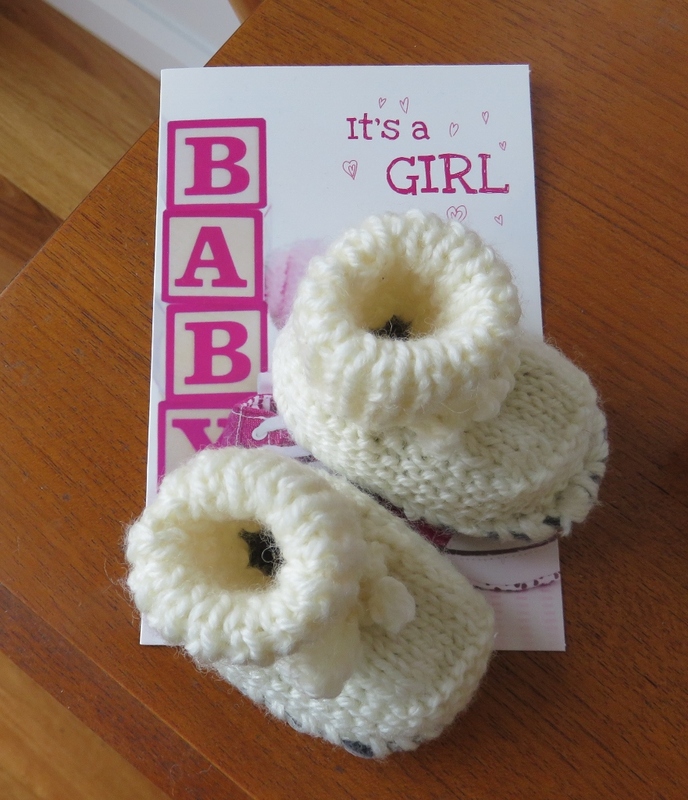 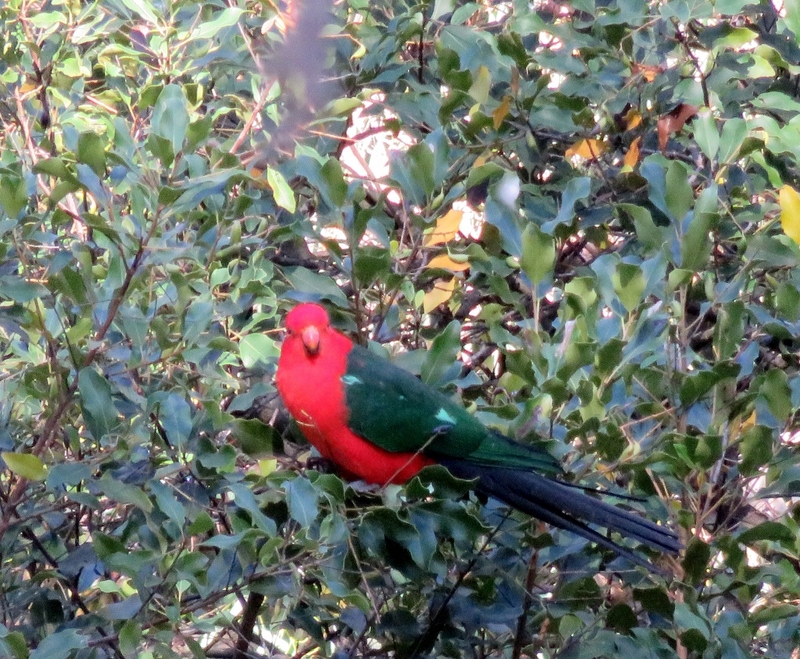 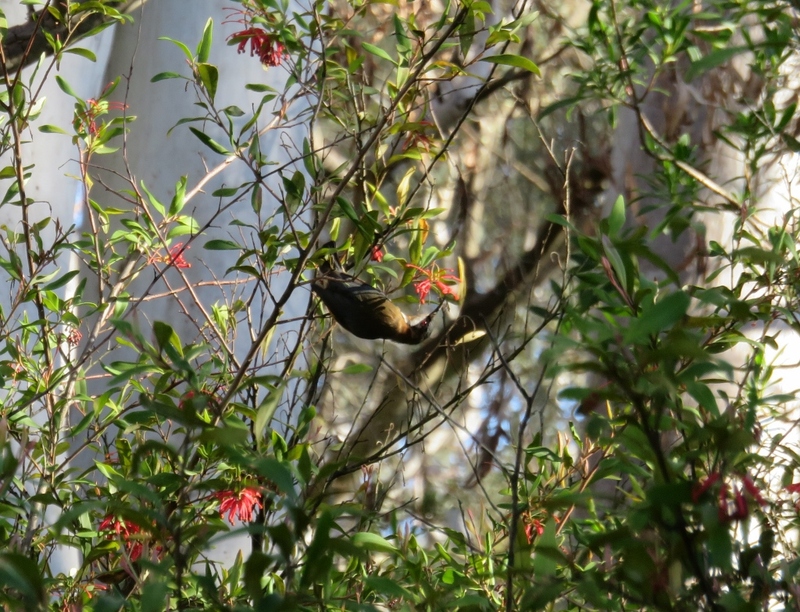 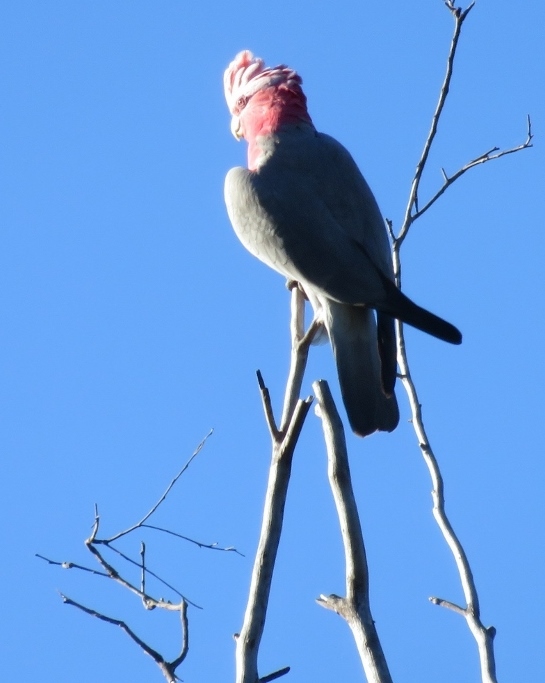 Unfortunately, the one thing the Wattlebird objected to was my camera, so no photo…..sadly. 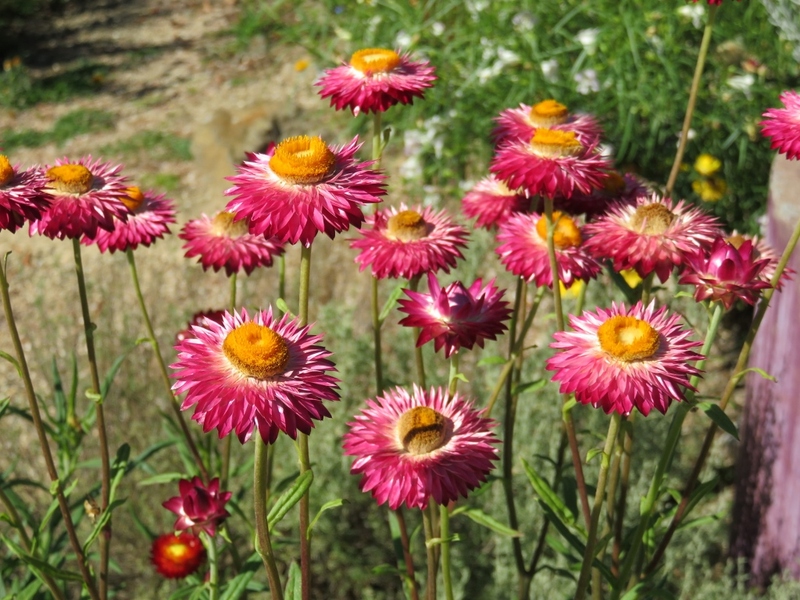 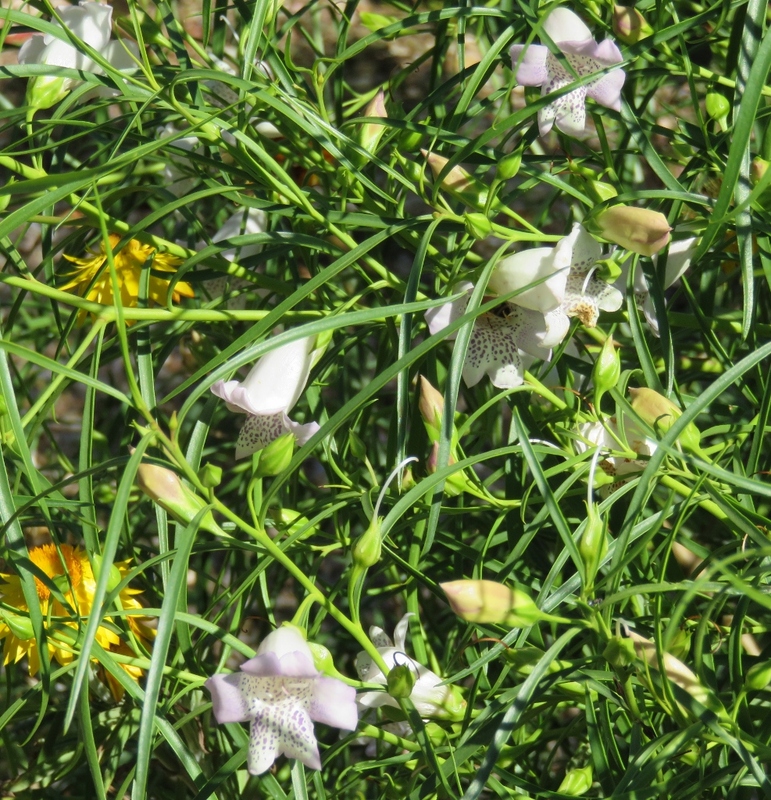 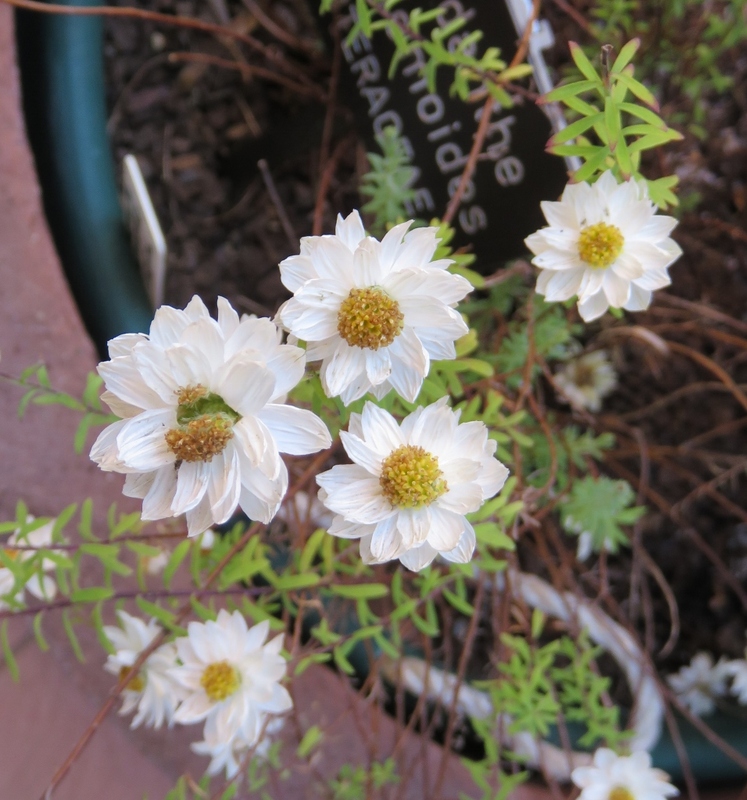 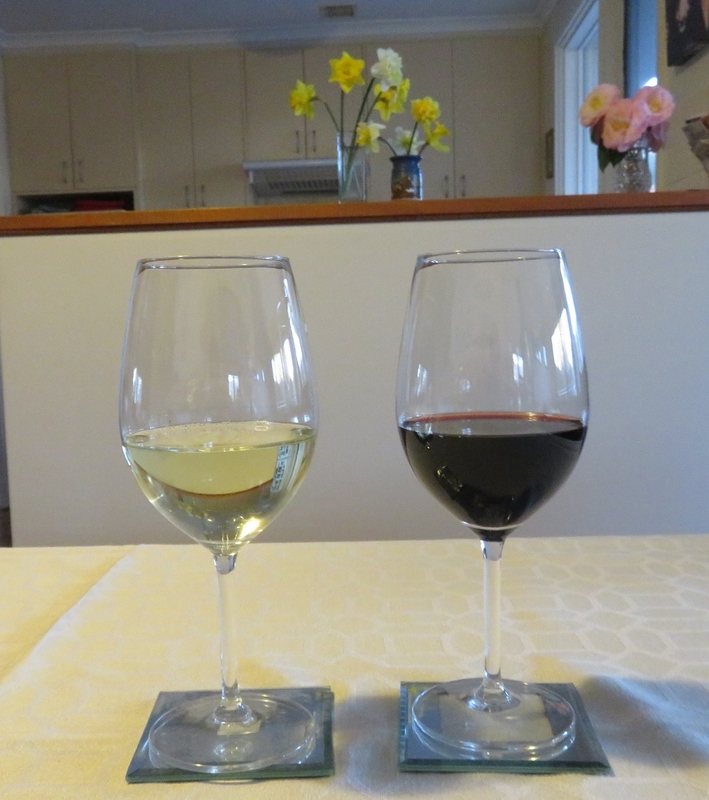 Considering this is mid summer I am surprised at how much is flowering…. 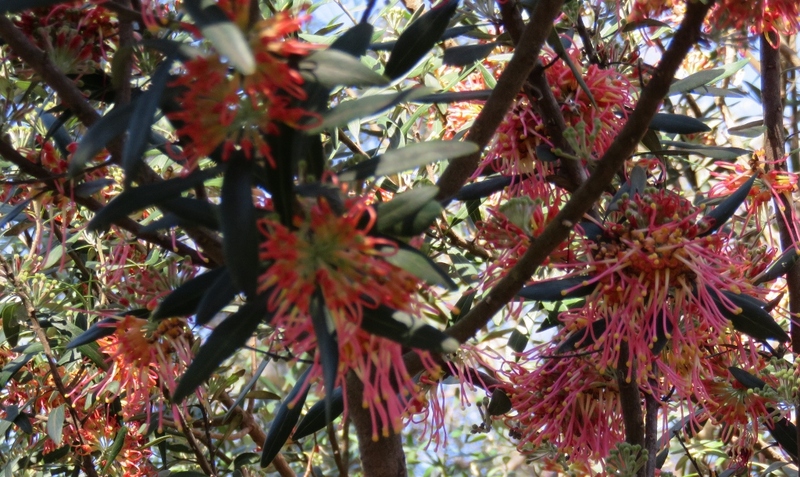 It is thought that Aboriginal people have always used the leaves for flavouring in food, and this tradition continues today. 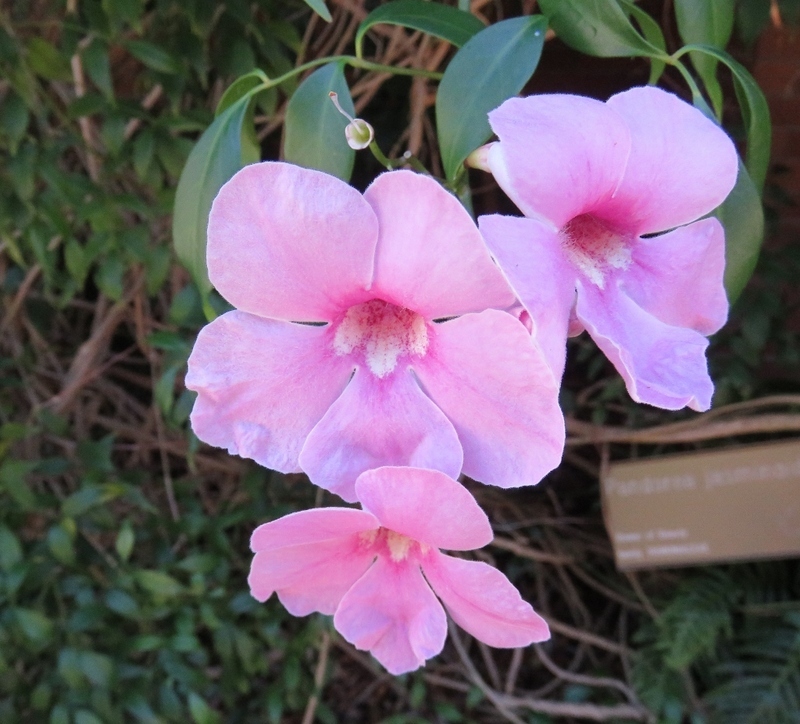 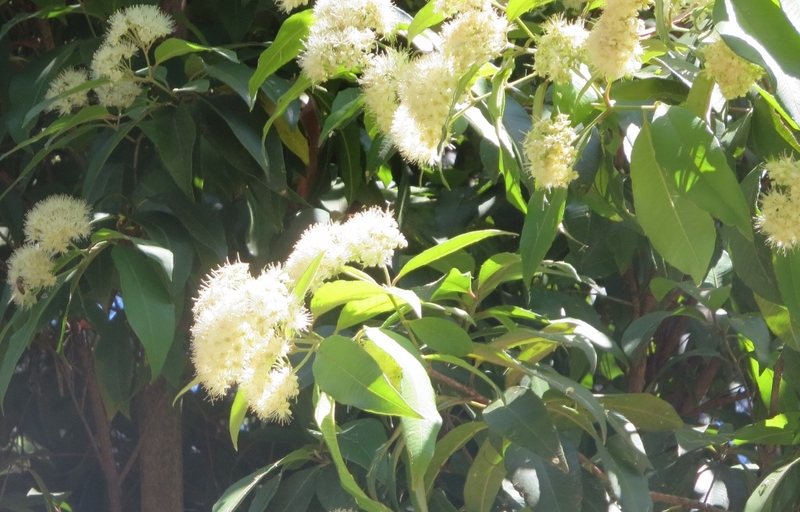 The leaves are used in cooking, to make tea, and are also added to soaps and used as herbal remedies. 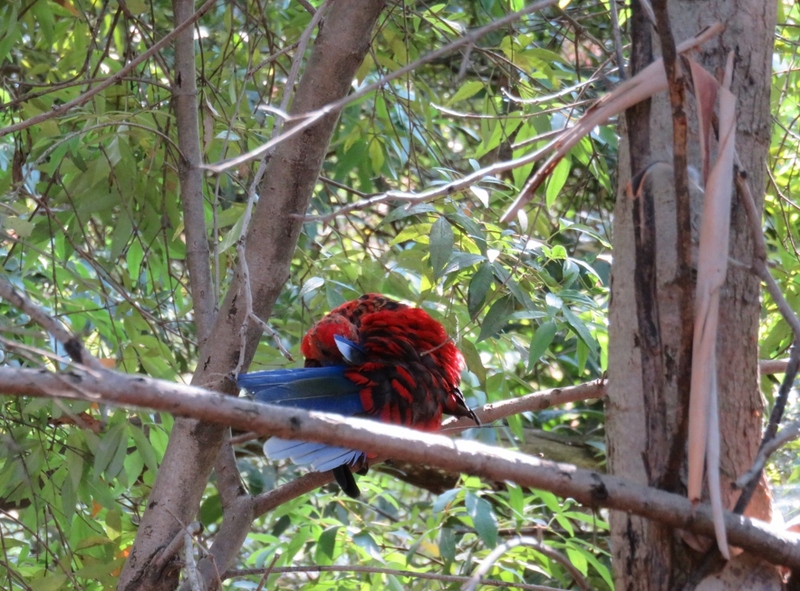 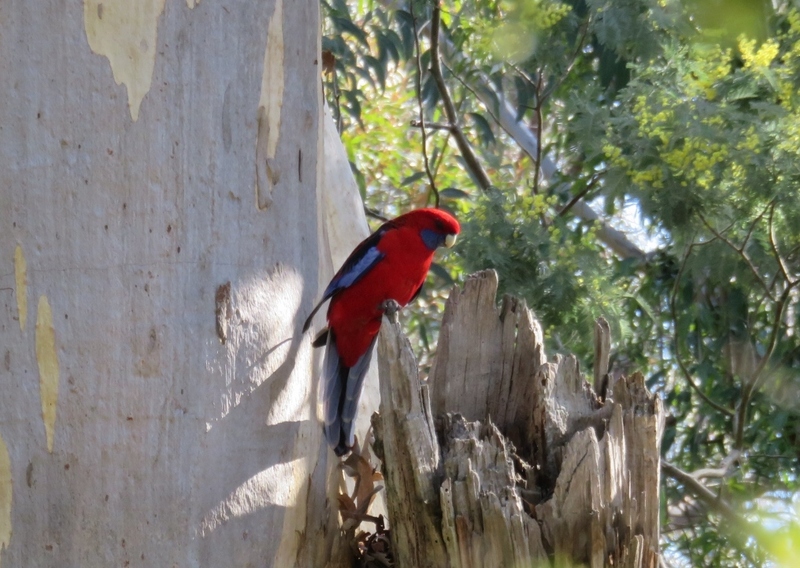 These gardens are a paradise for birds…this lovely Crimson Rosella is busy preening his long blue tail and wishing I would just go away..
We are back at the entrance of the National Botanic gardens, what a cool and beautiful spot to spend the morning… I have no doubt that bee hotel will be booked out in no time! 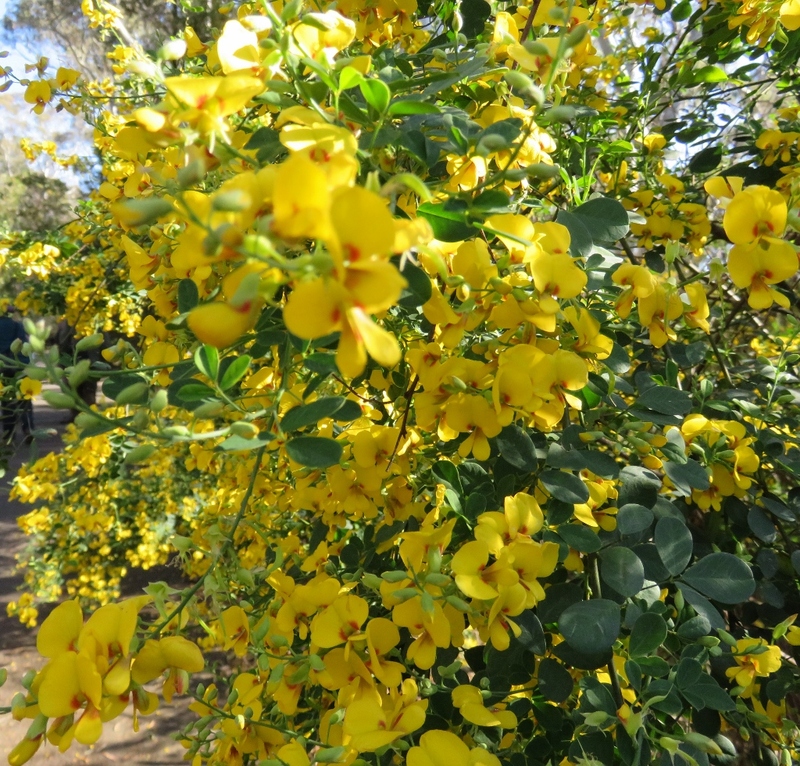 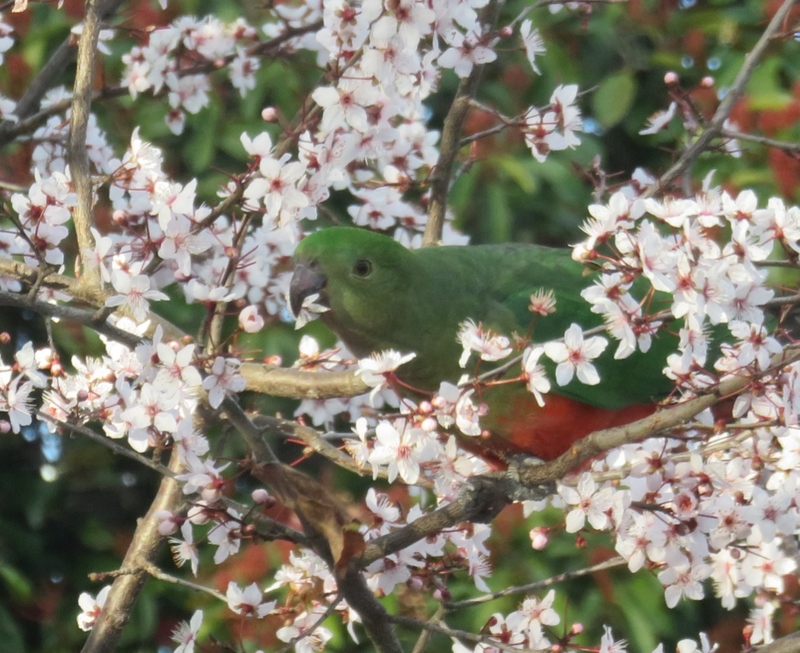 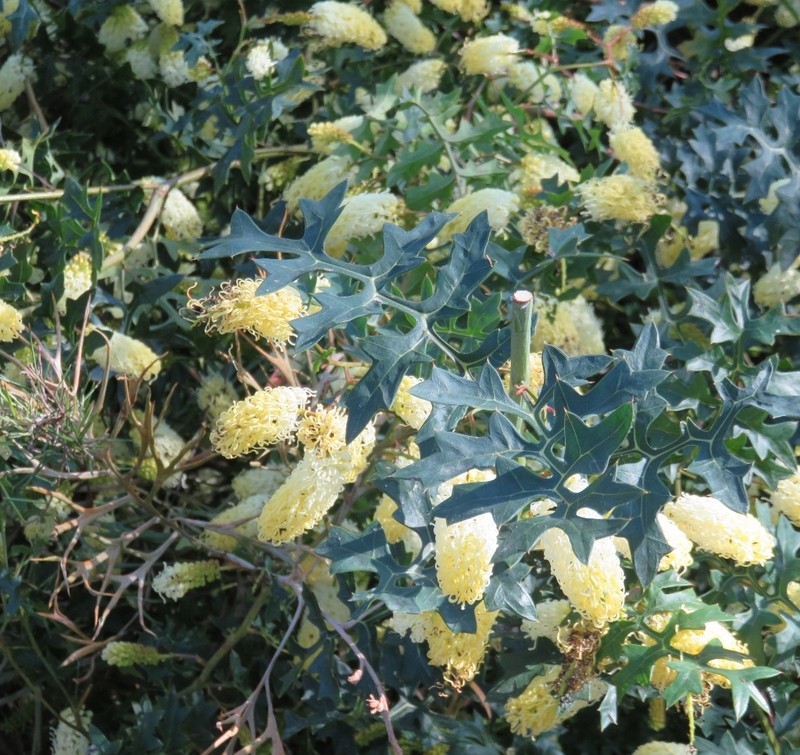 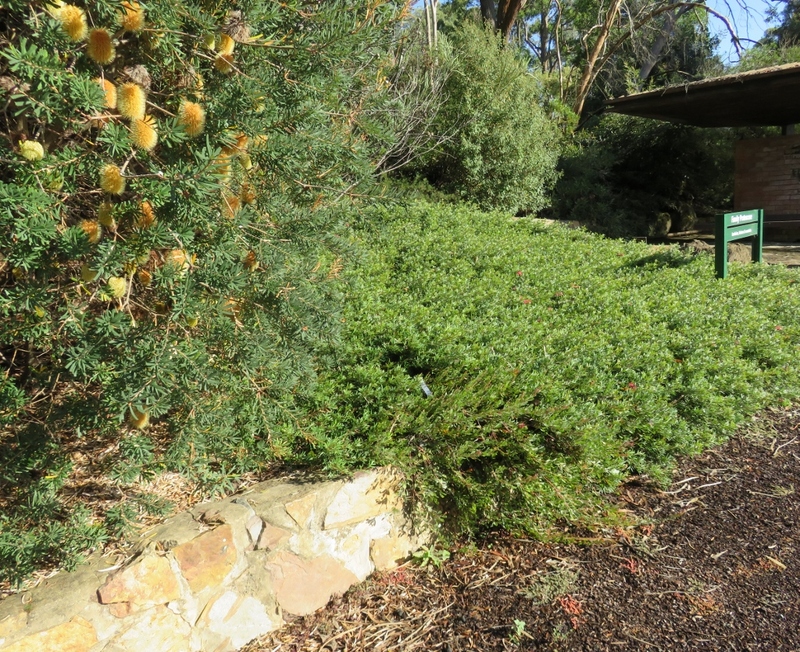 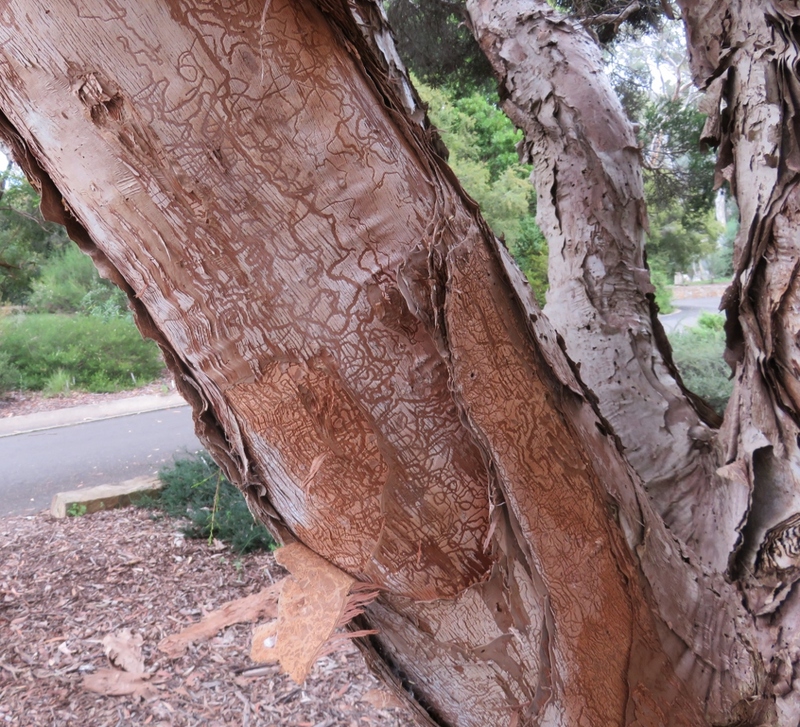 This entry was posted in Canberra's Public Gardens and tagged a bee hotel, Banksias, bees, botanist, bush bees, Canberra, crimson rosella, daisies, flowering plants, flowers, Joseph Banks, Lemon Myrtle tree, National Botanic Gardens on February 19, 2016 by germac4.